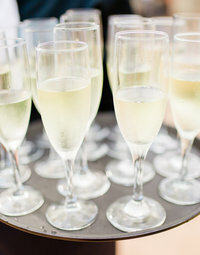 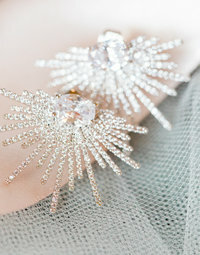 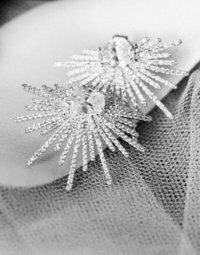 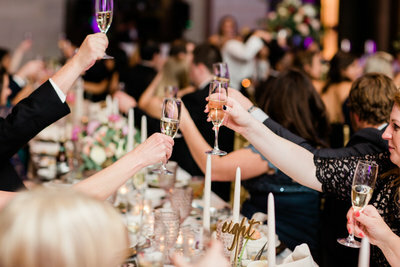 We at The Howard Brand work very closely with a few phenomenal vendors here in the city. 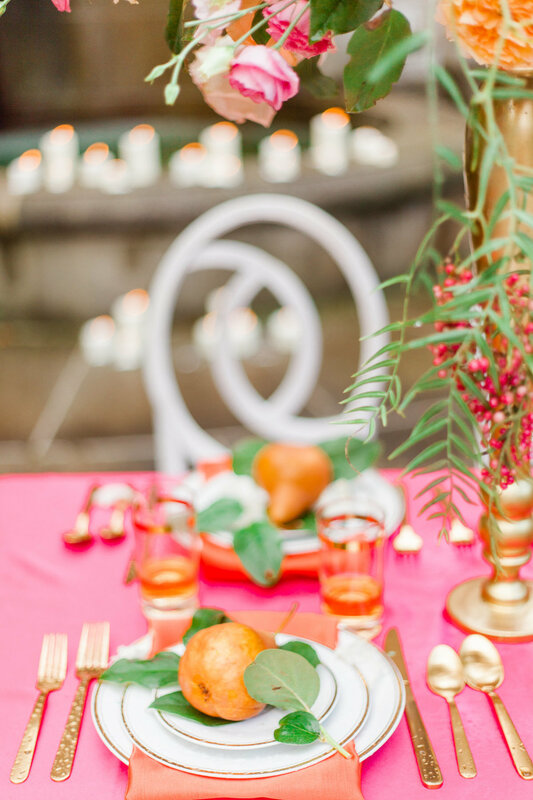 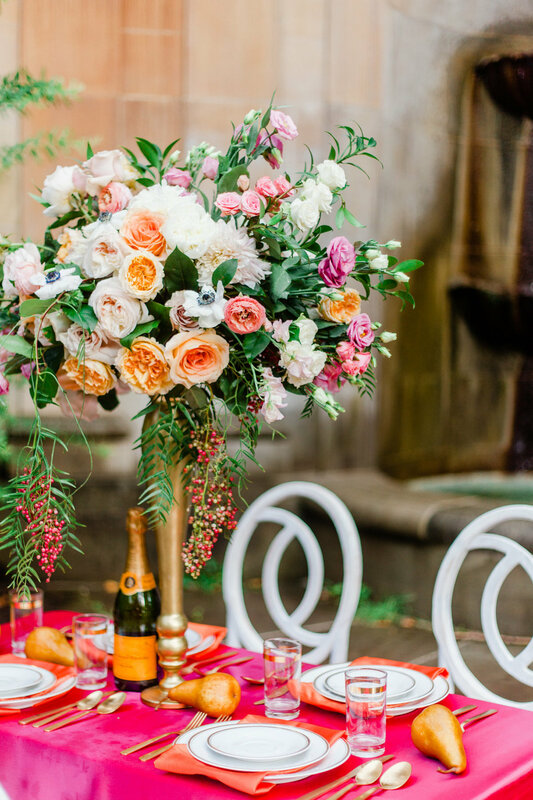 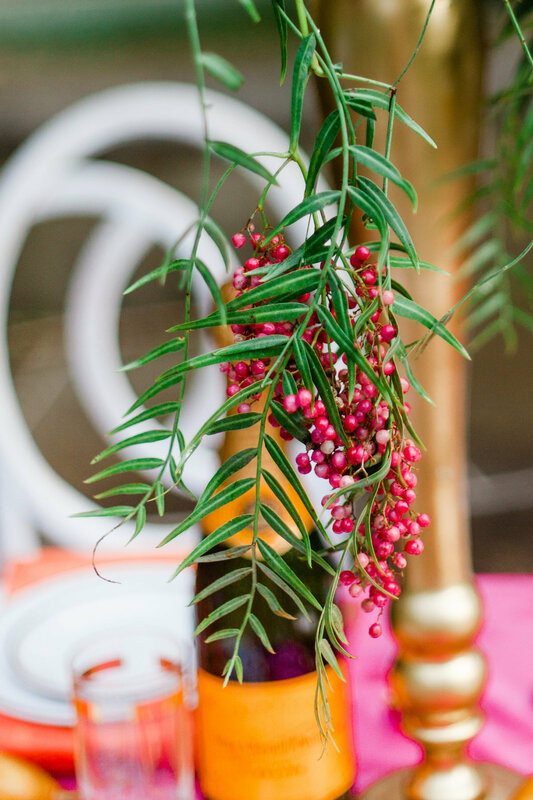 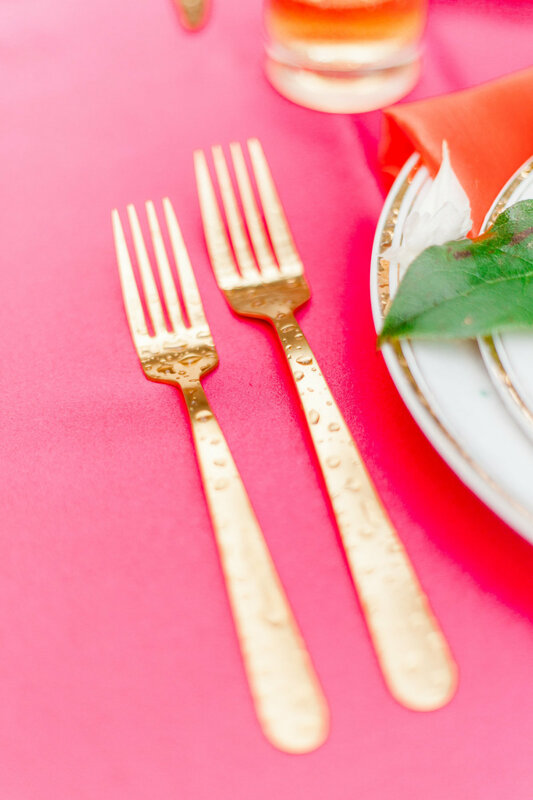 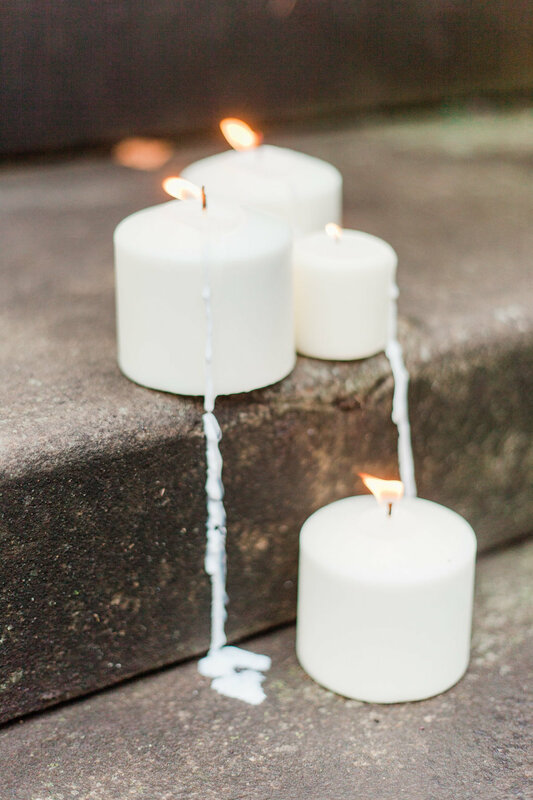 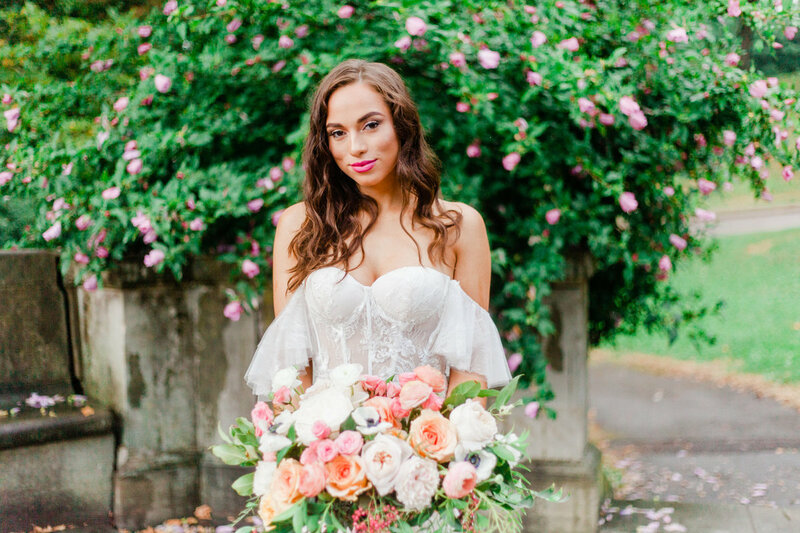 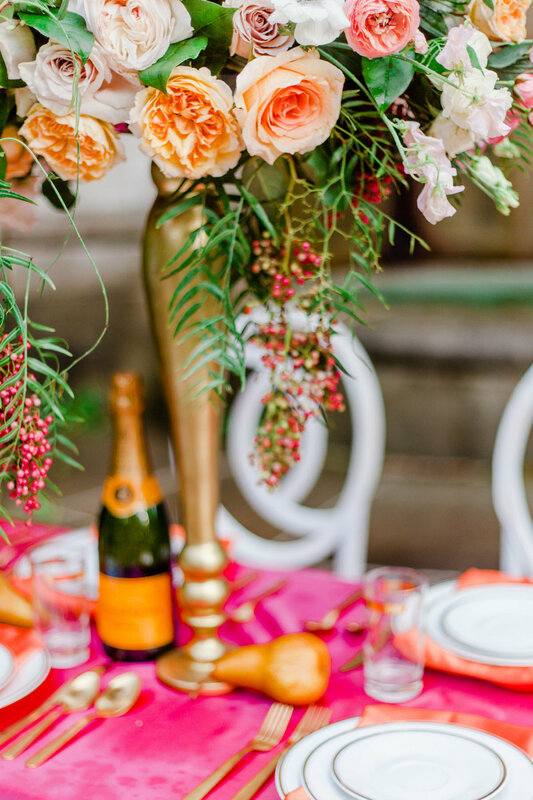 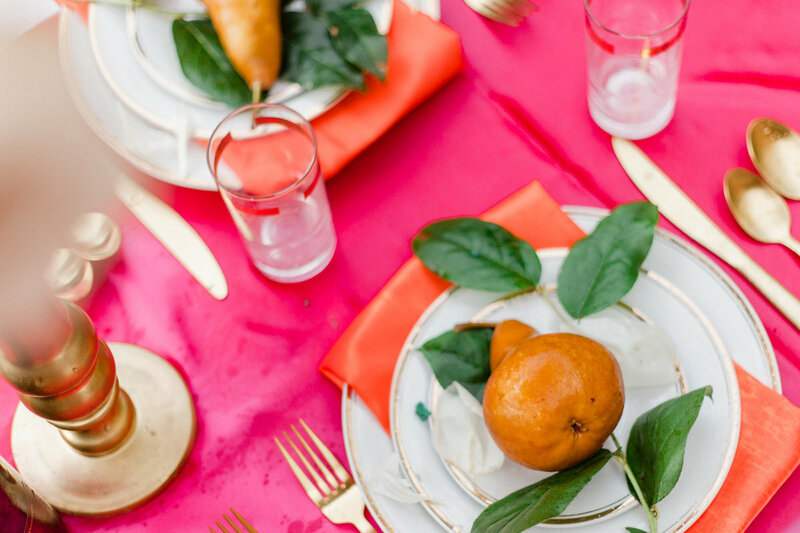 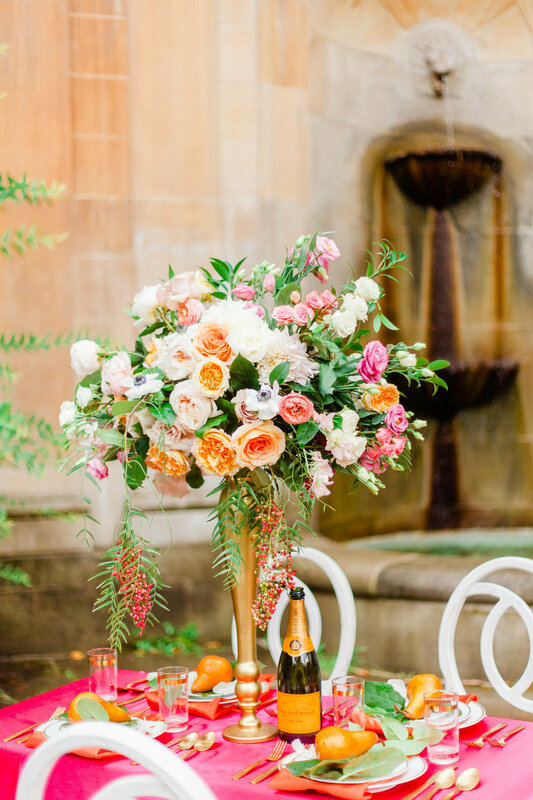 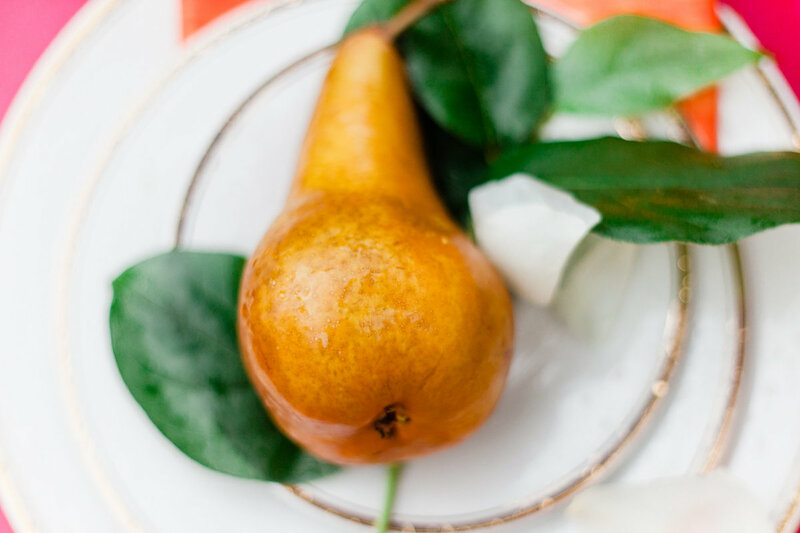 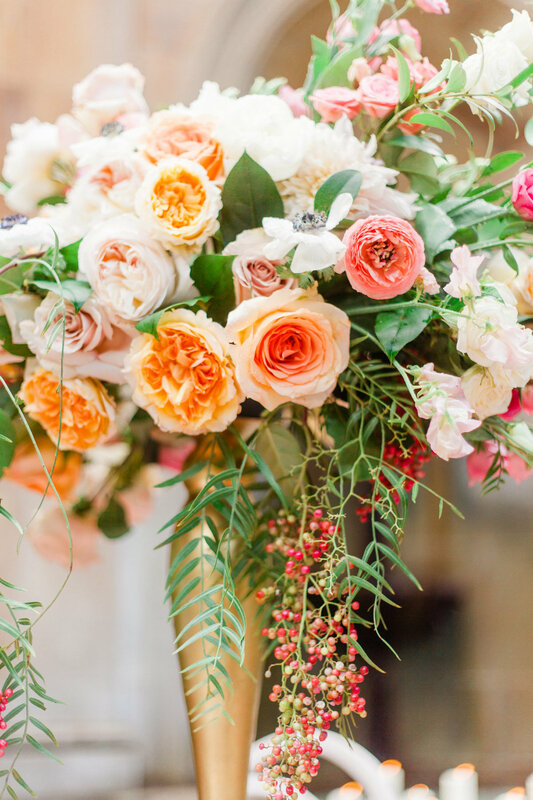 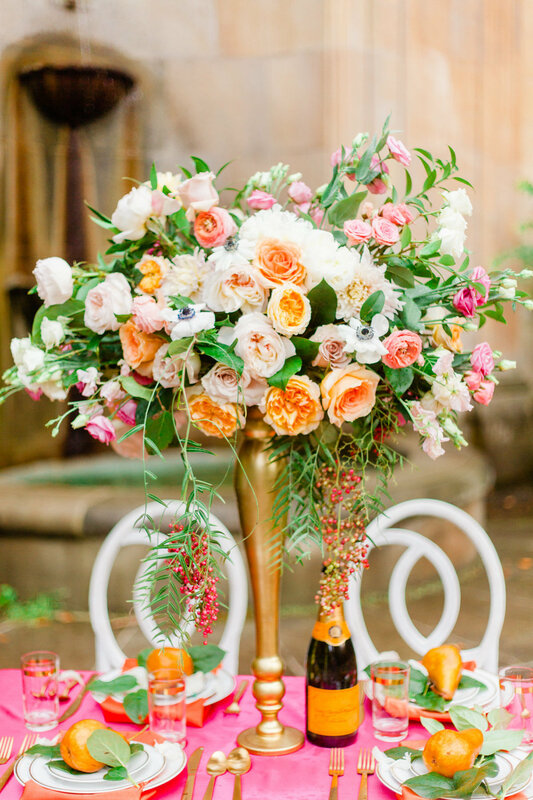 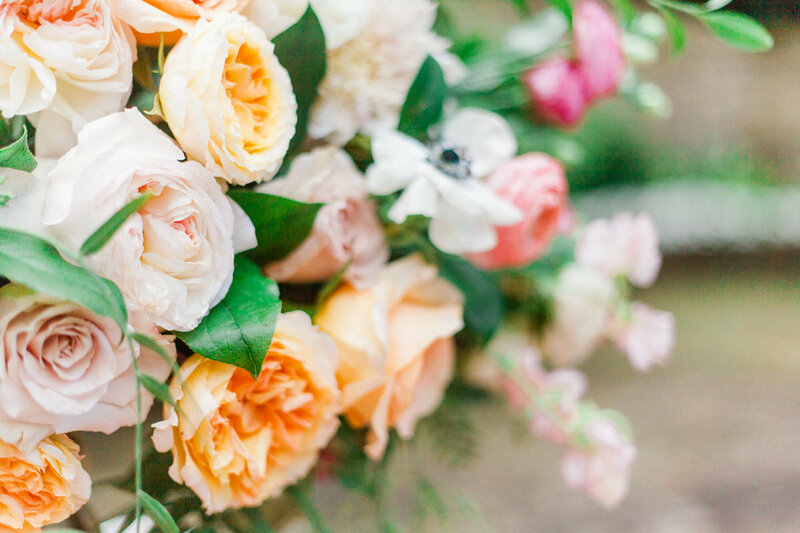 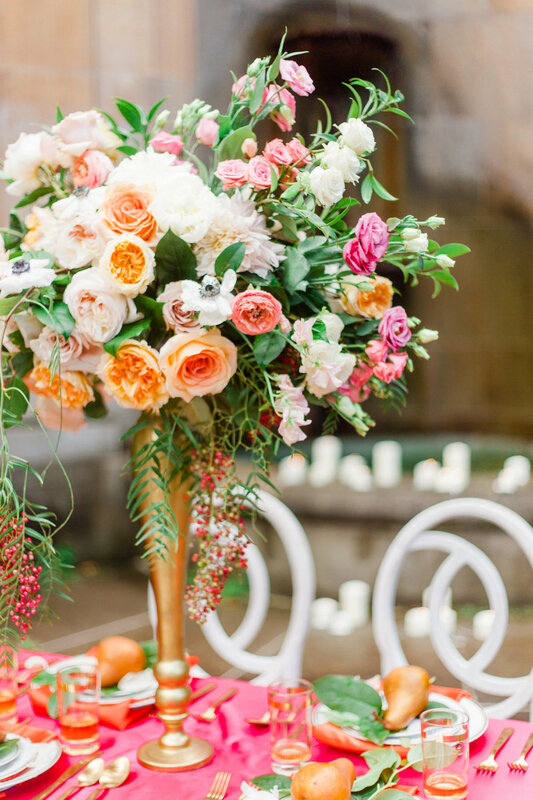 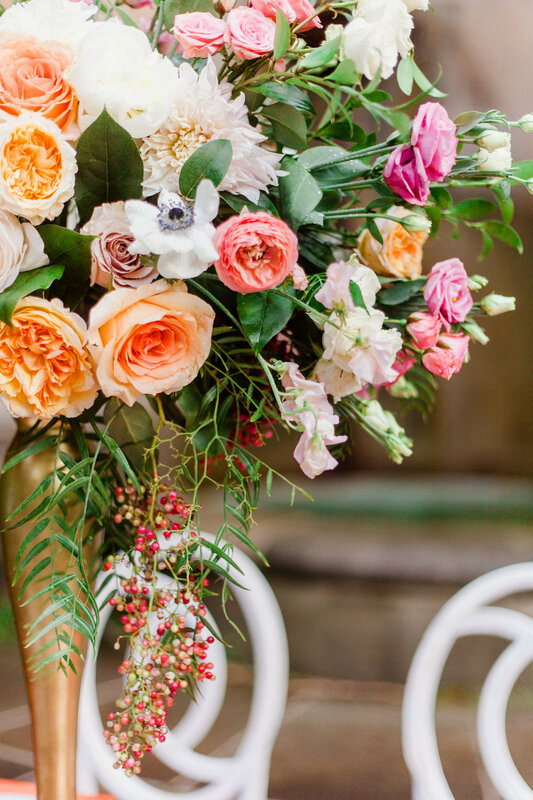 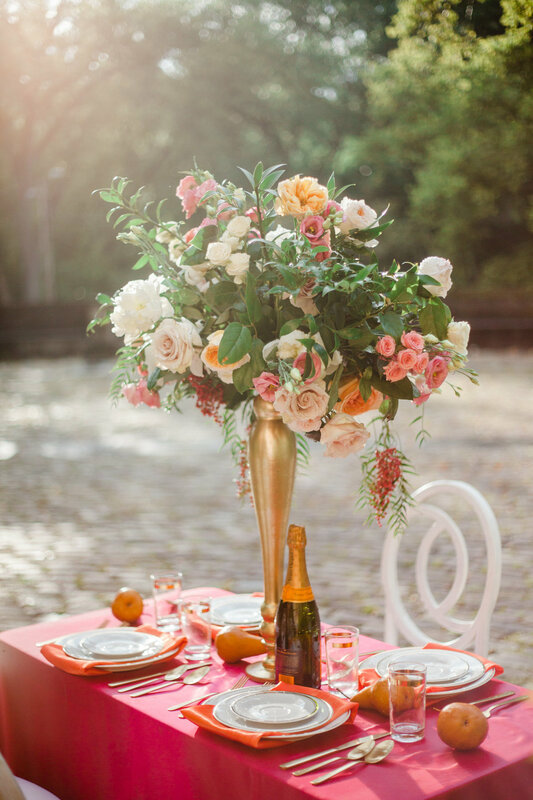 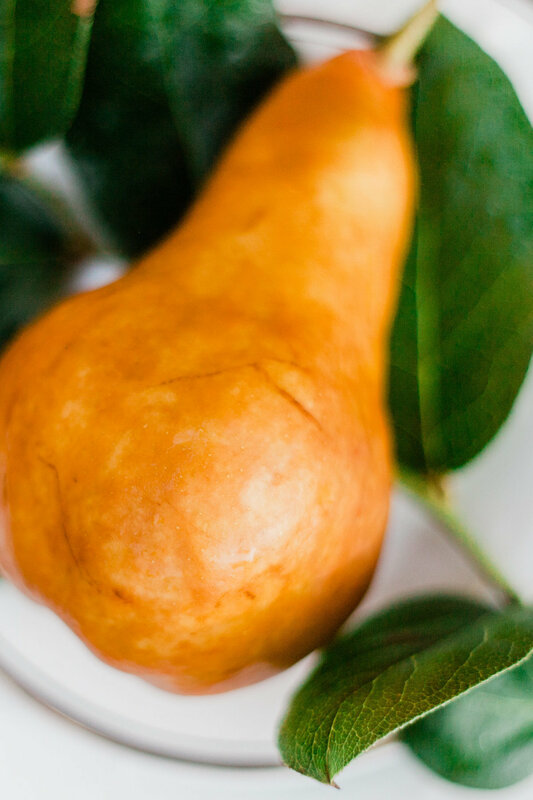 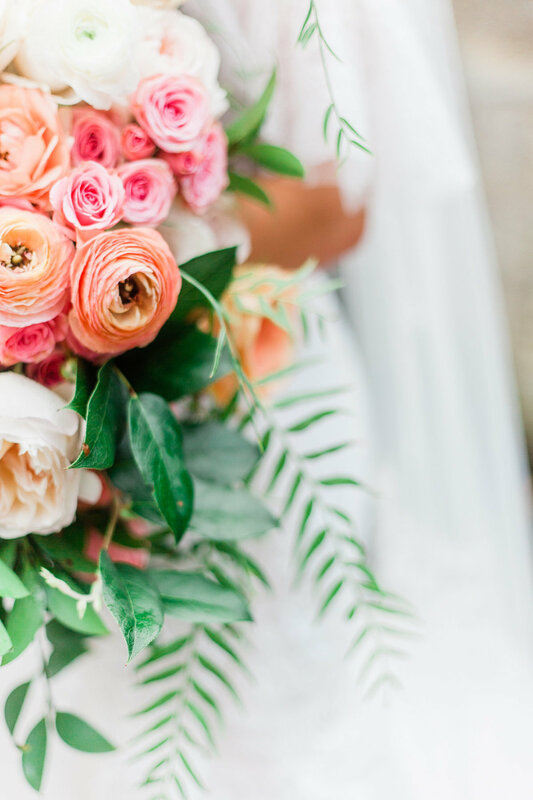 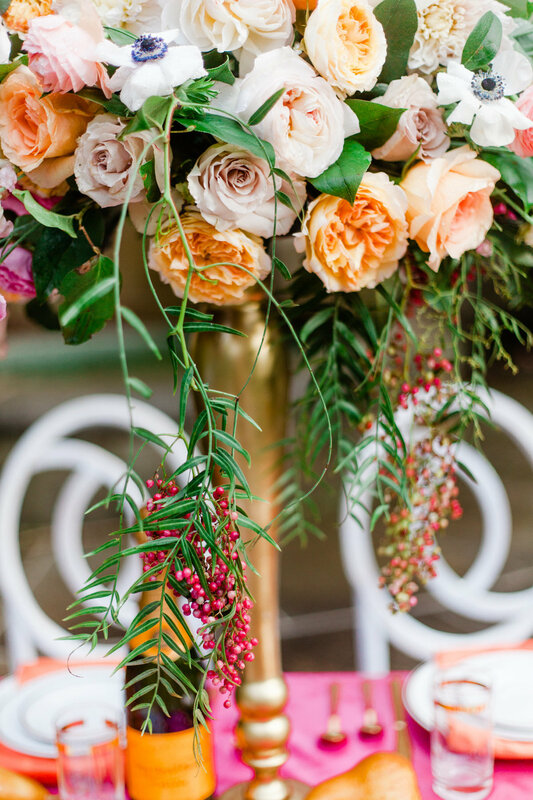 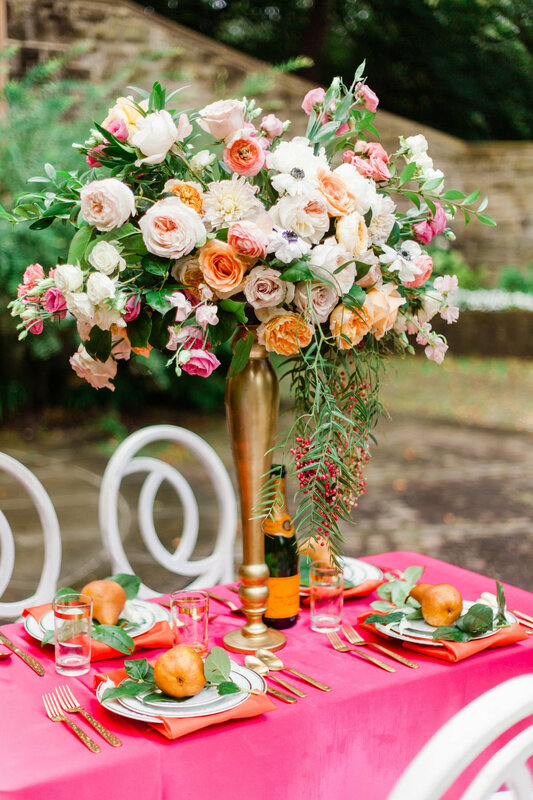 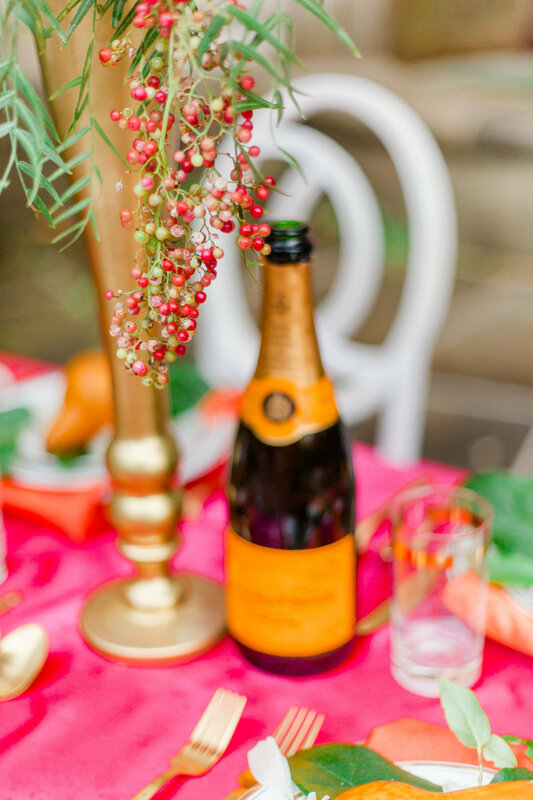 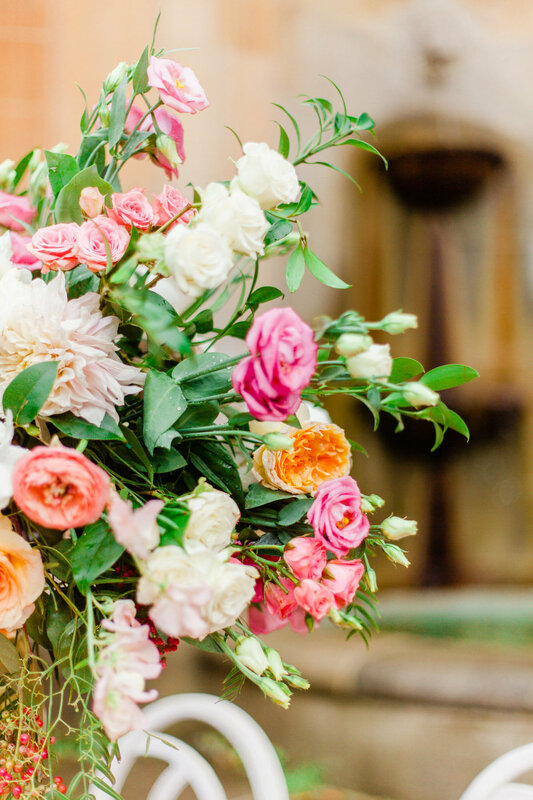 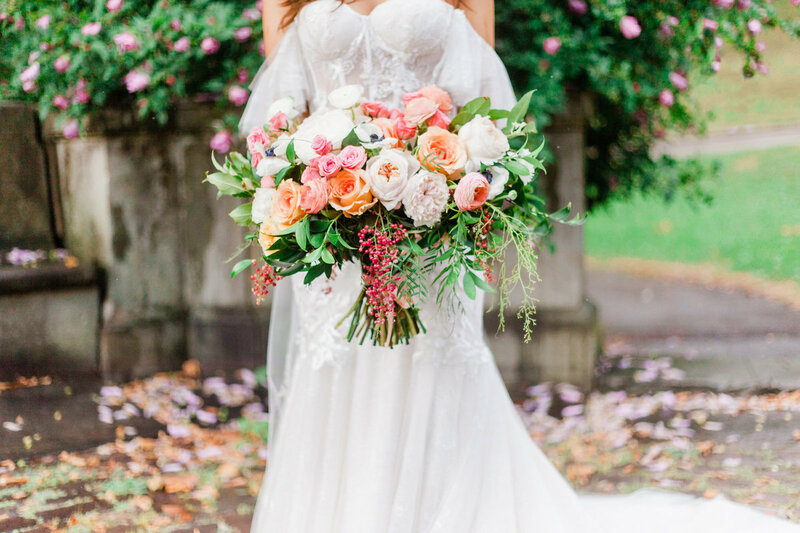 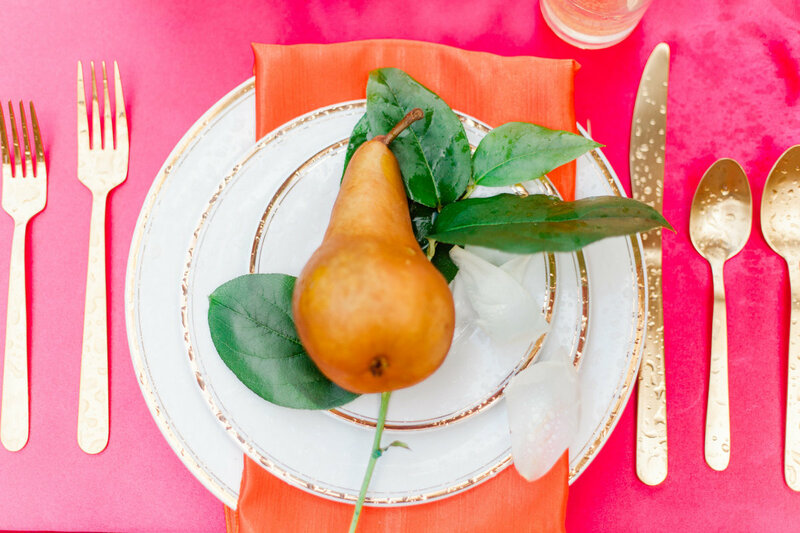 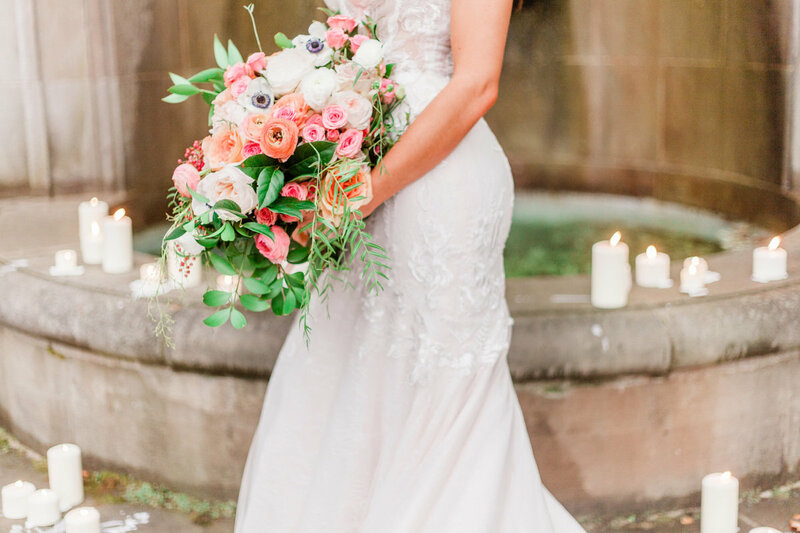 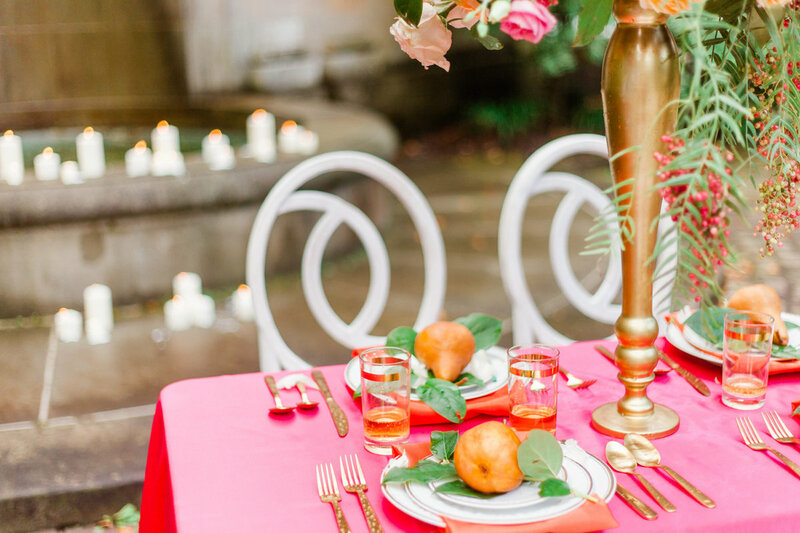 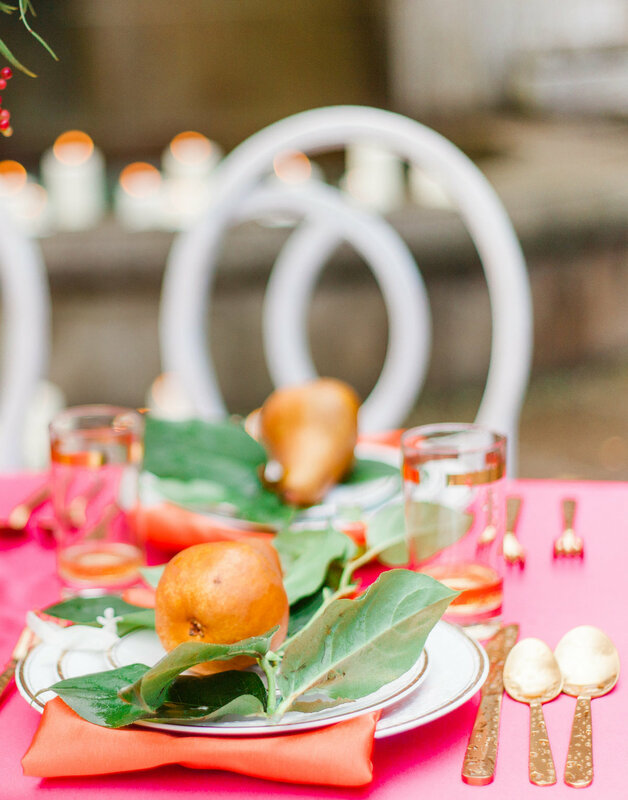 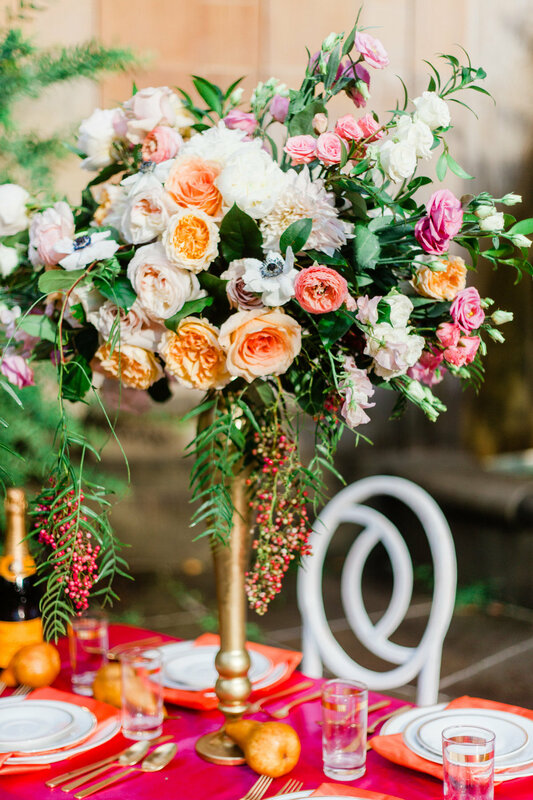 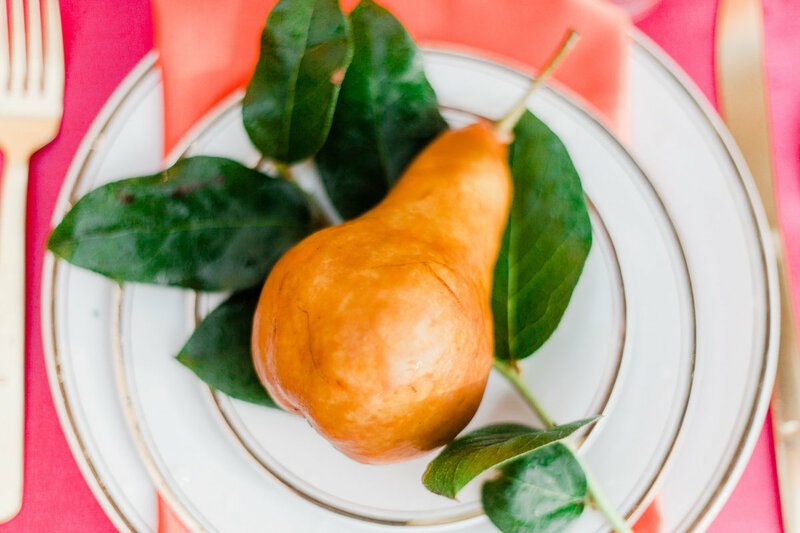 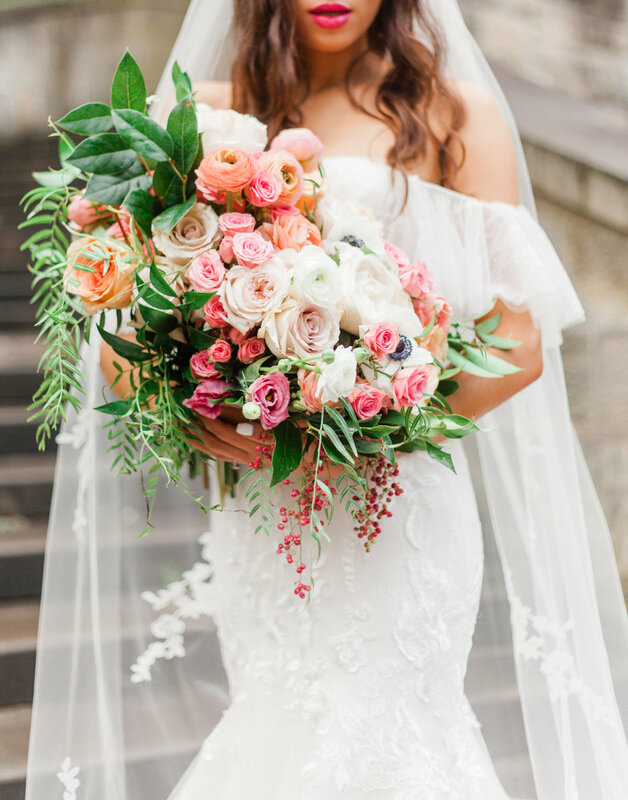 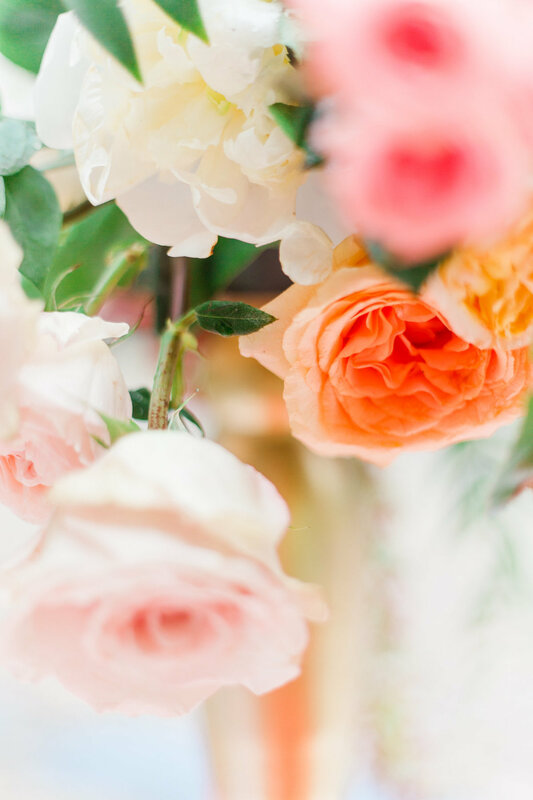 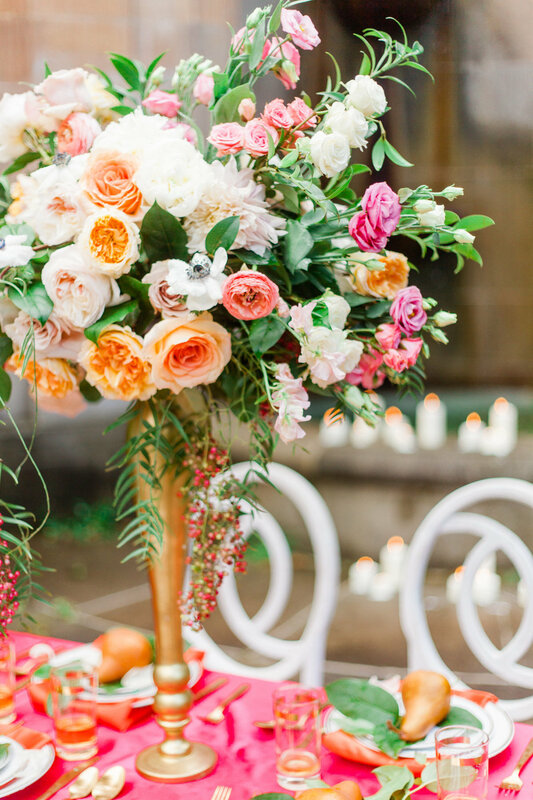 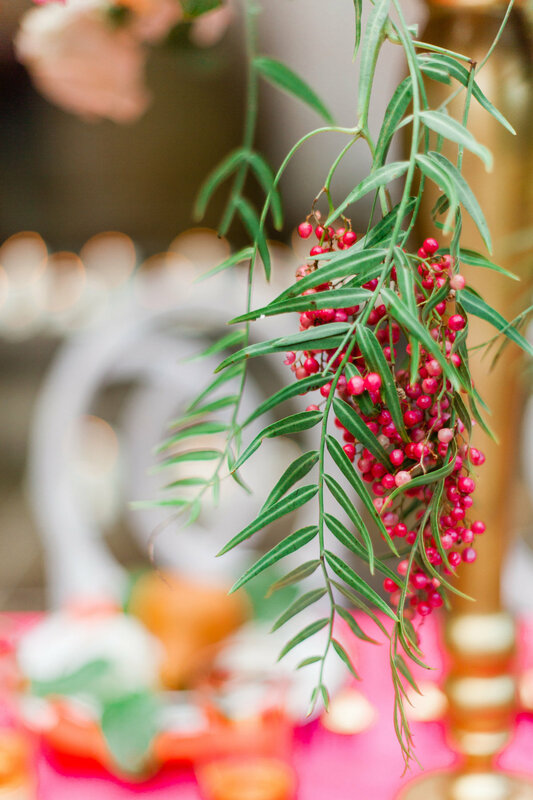 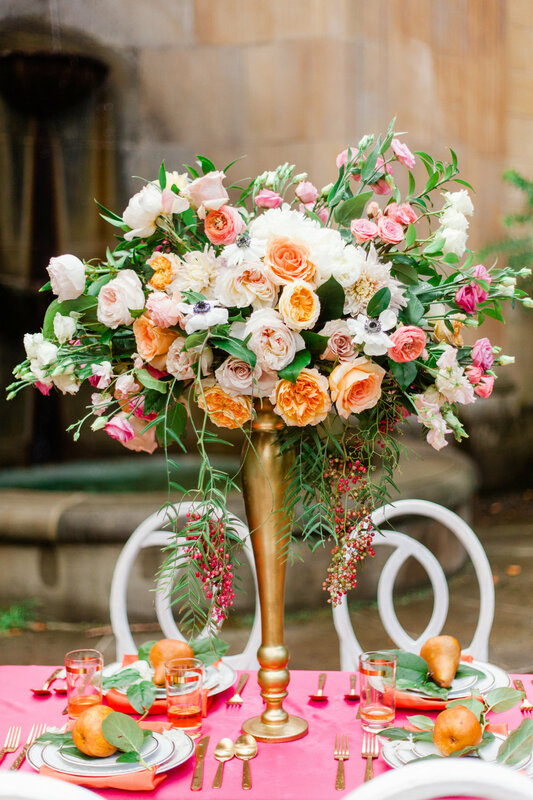 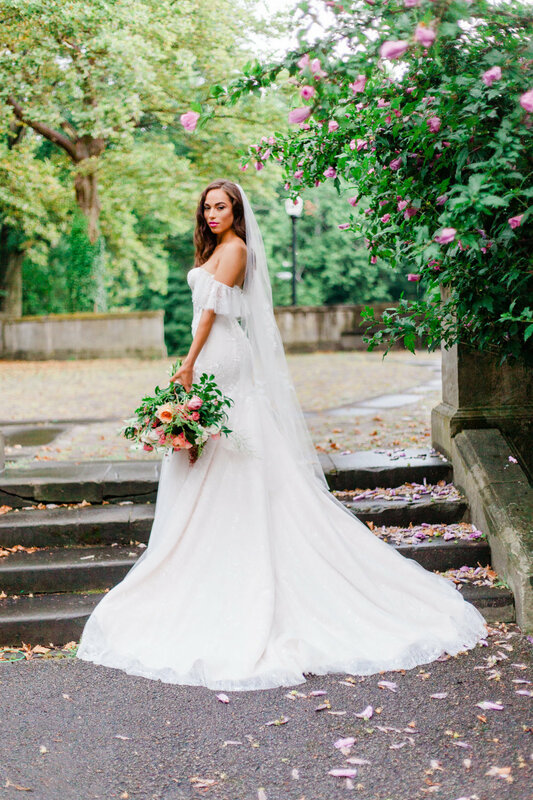 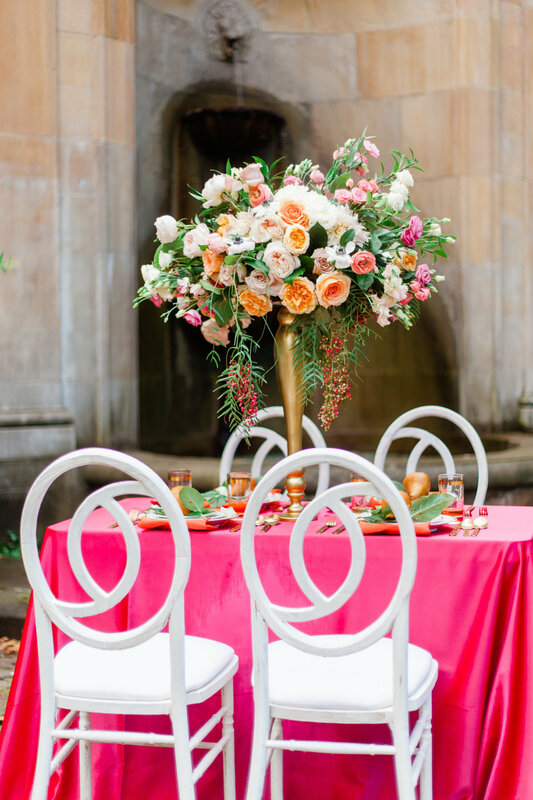 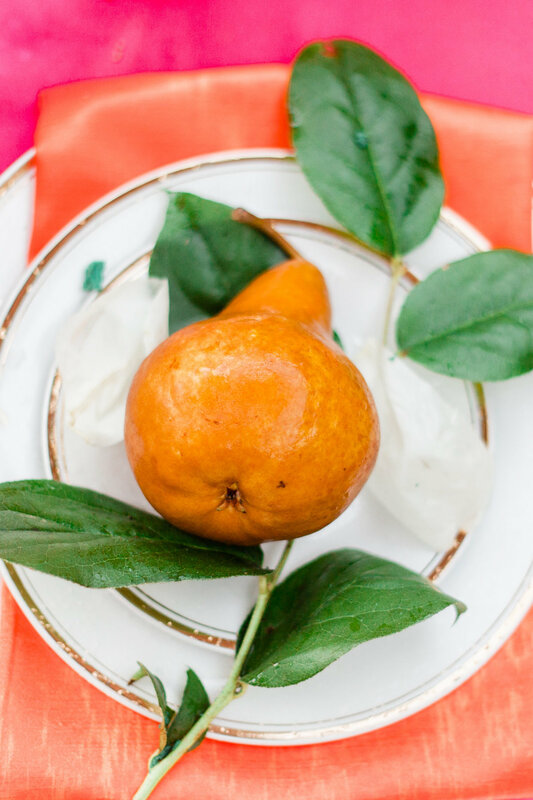 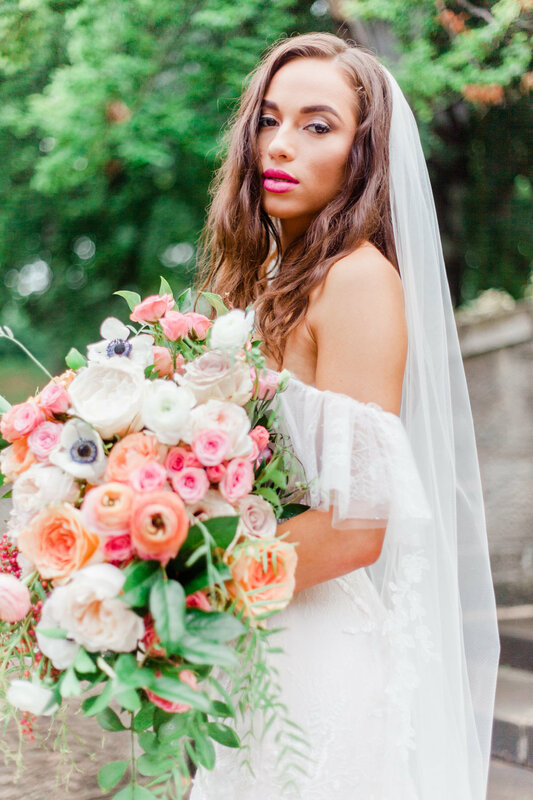 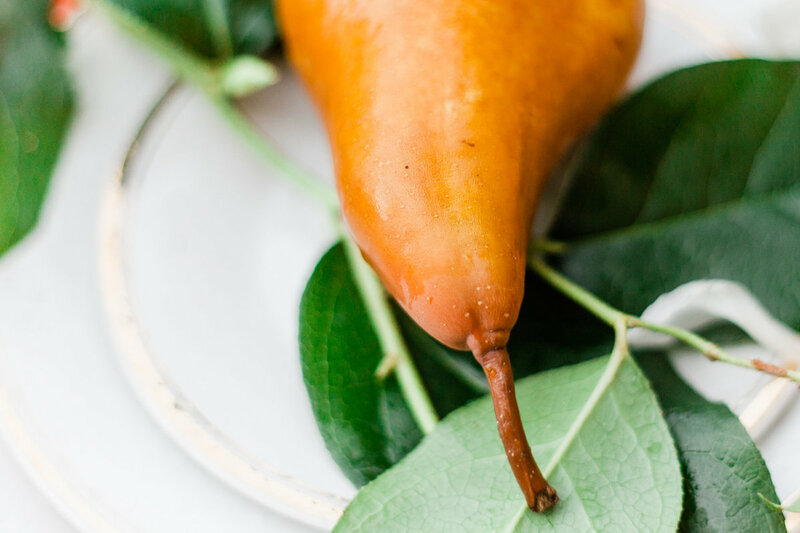 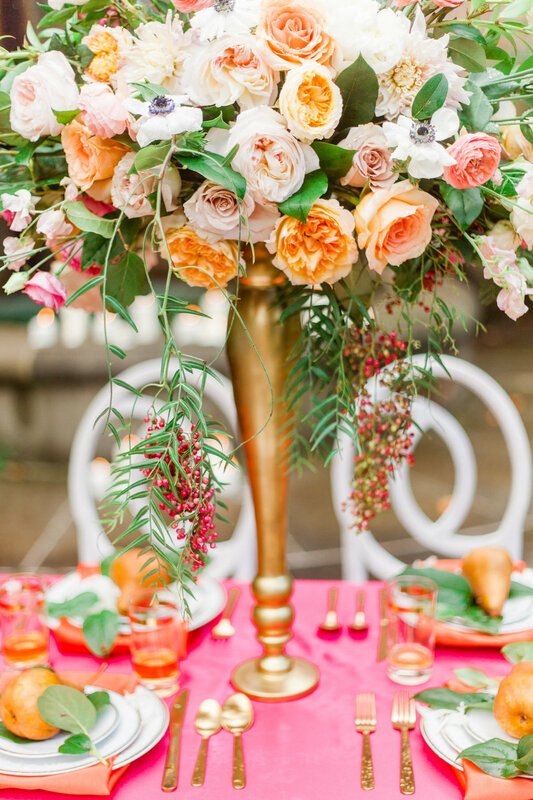 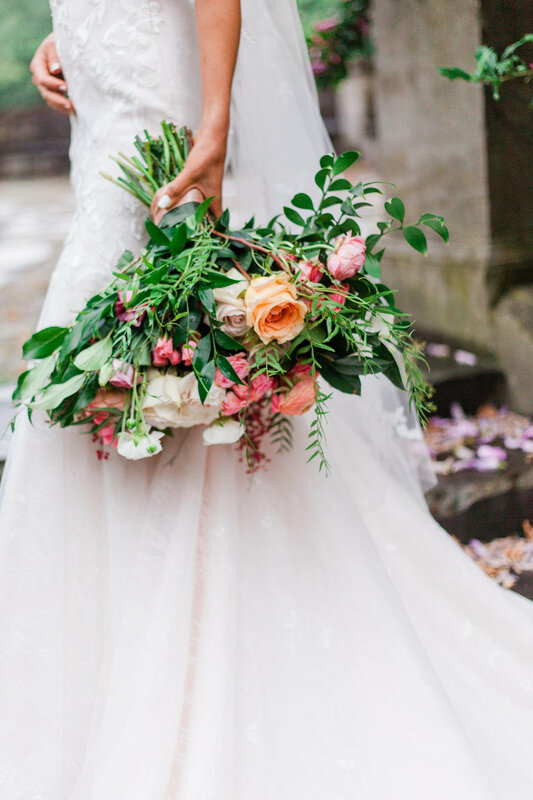 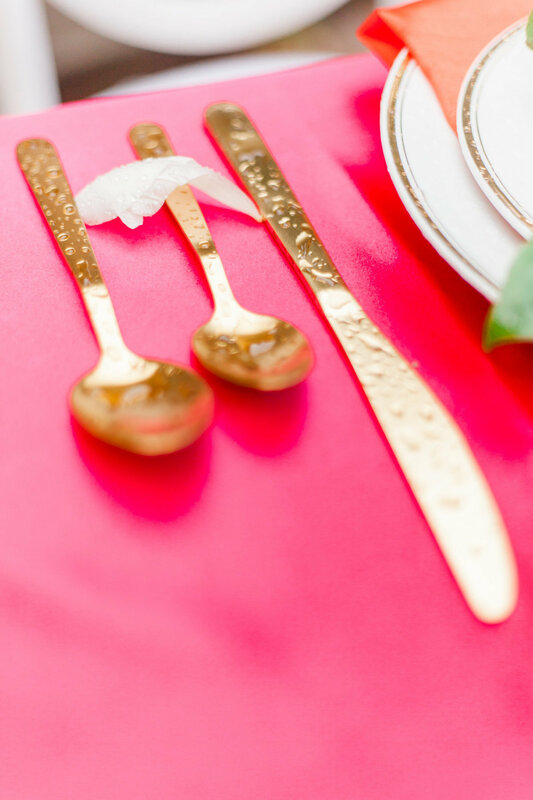 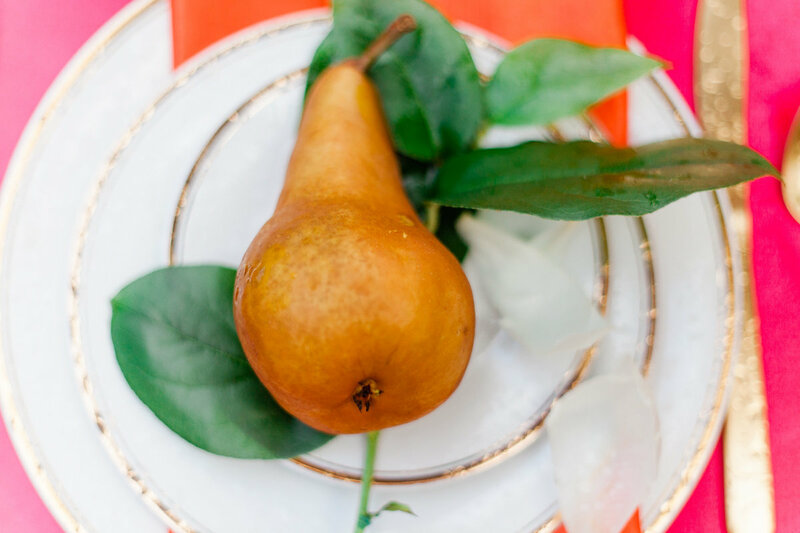 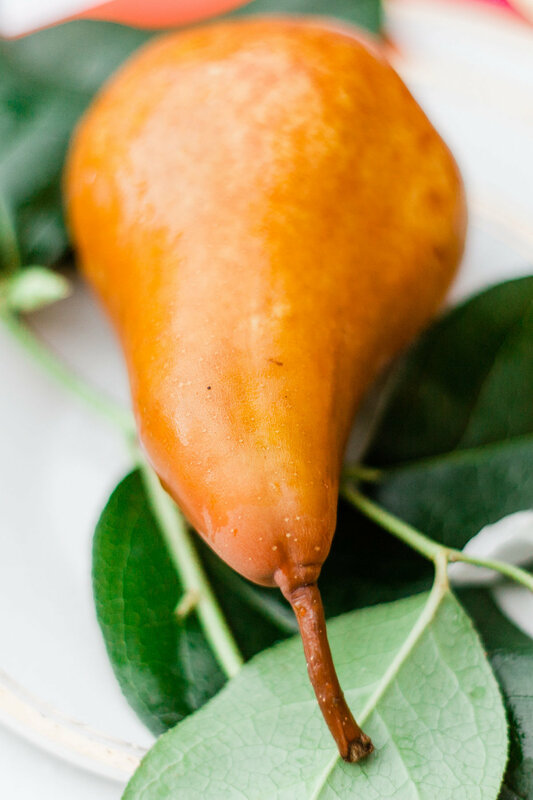 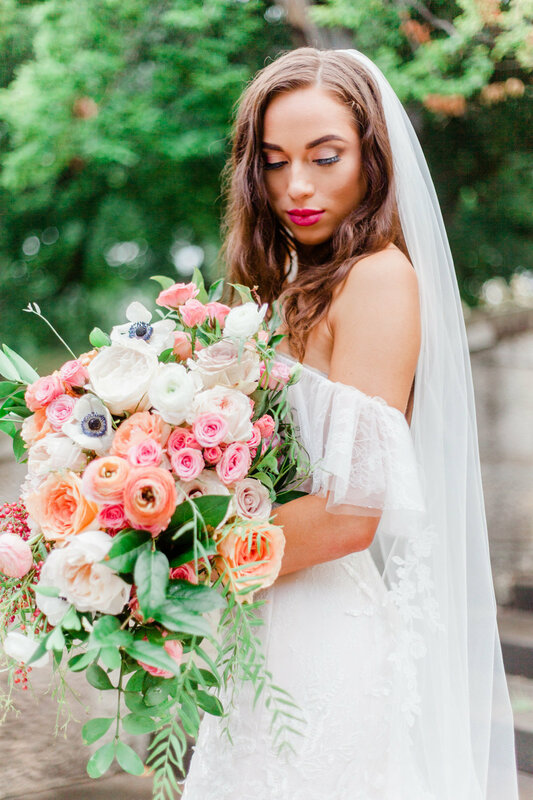 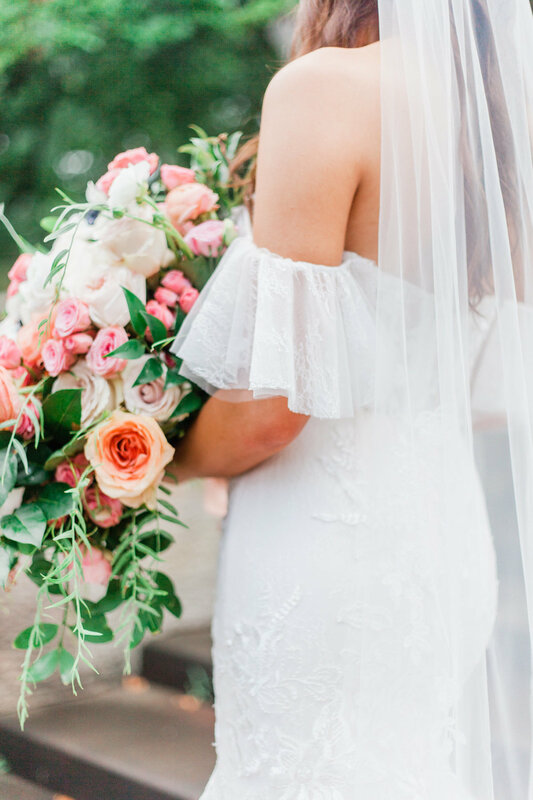 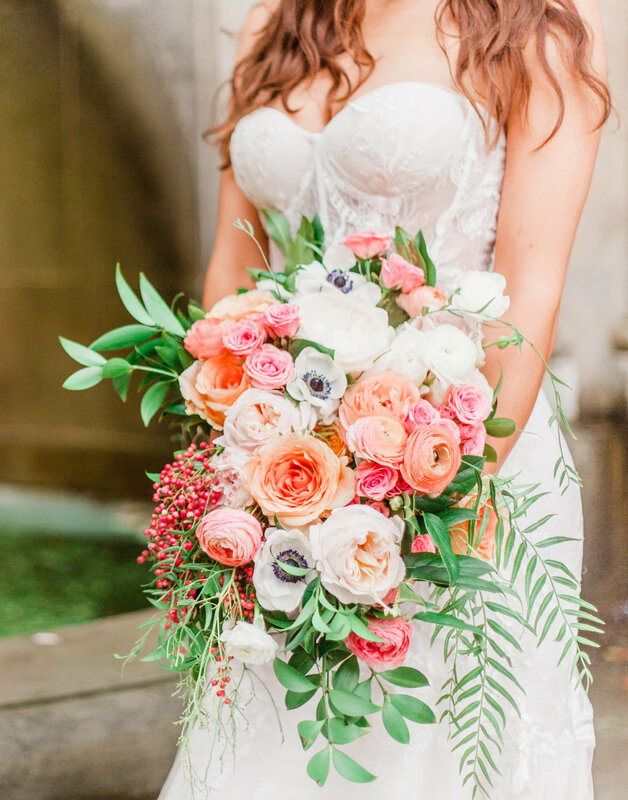 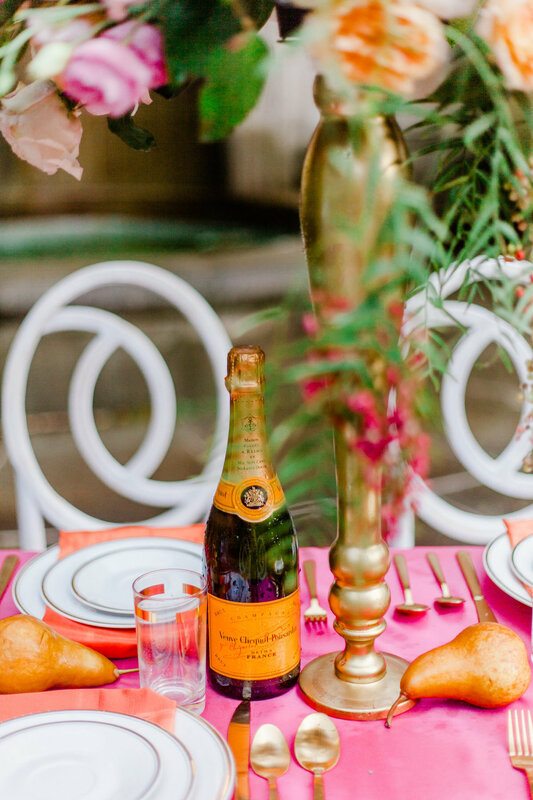 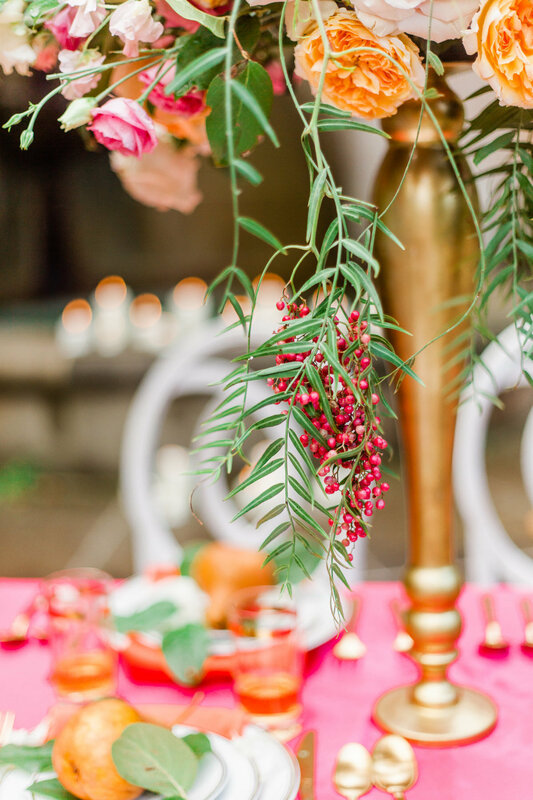 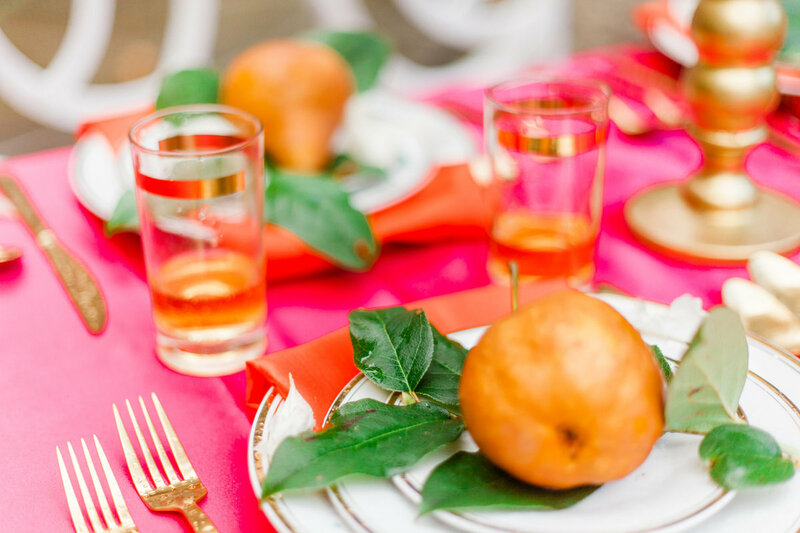 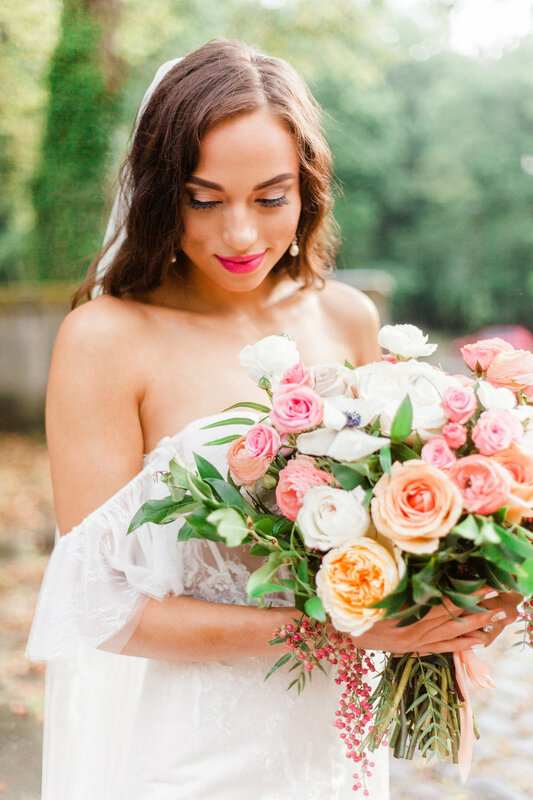 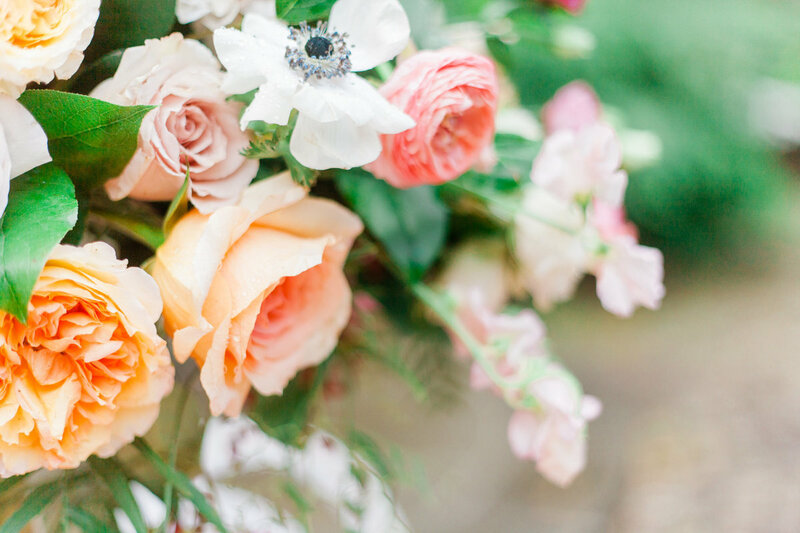 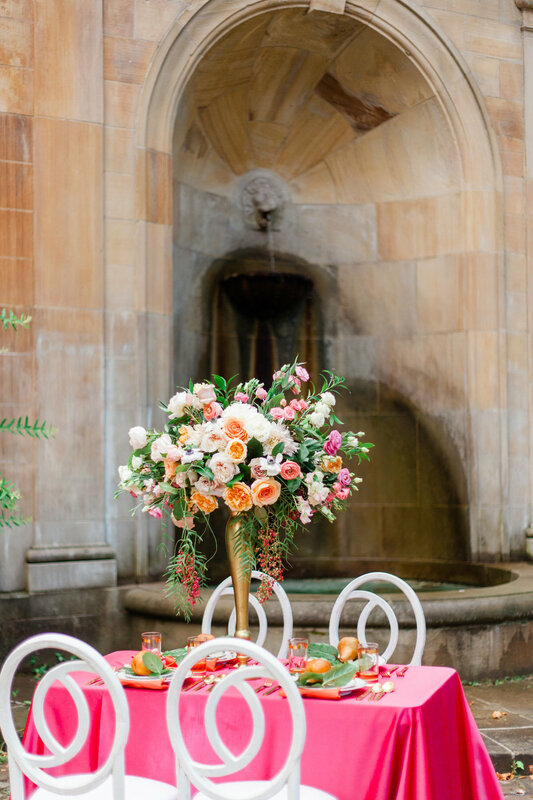 Our all time favorite vendor is Jasmine of Vivid Vibes Event Planning- our teams collaborated together to create this stunning editorial with details that had us swooning. 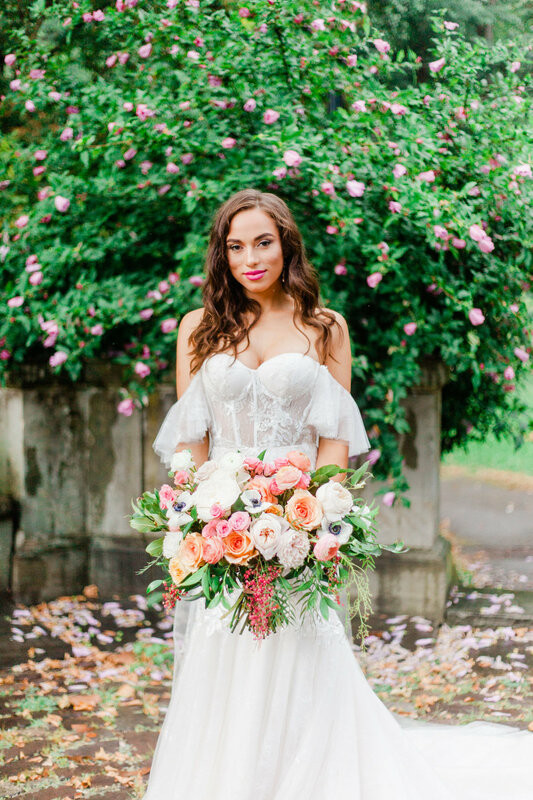 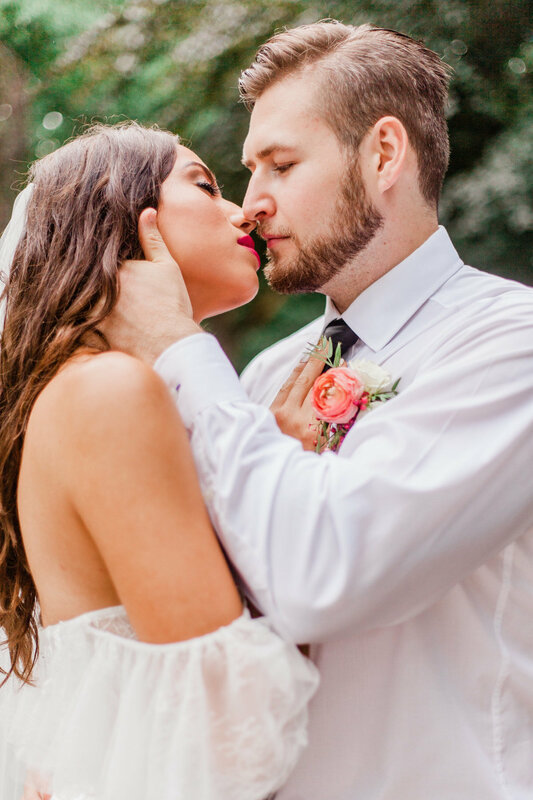 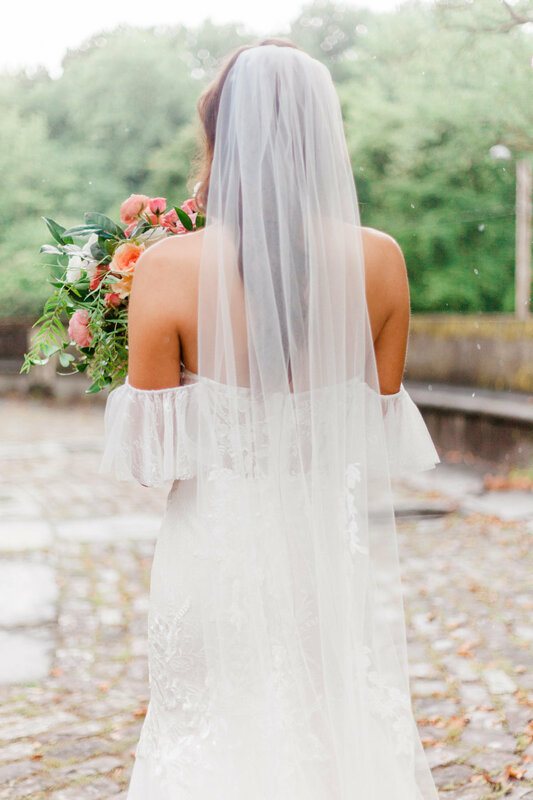 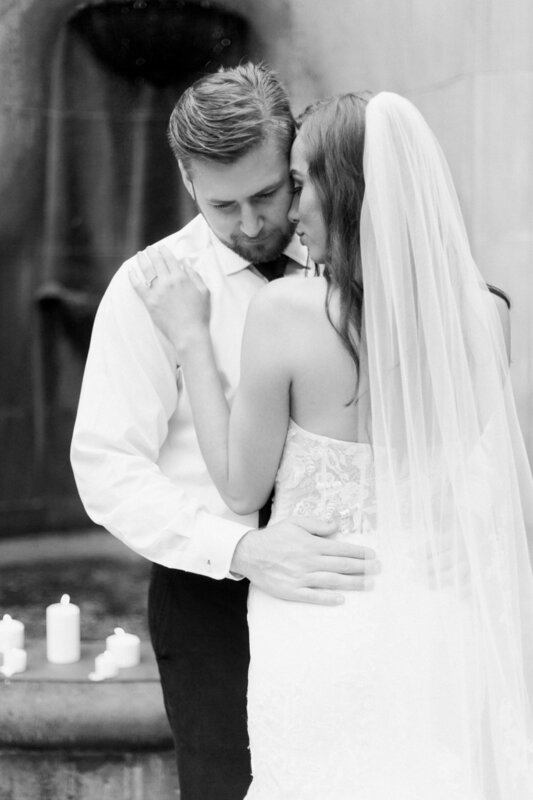 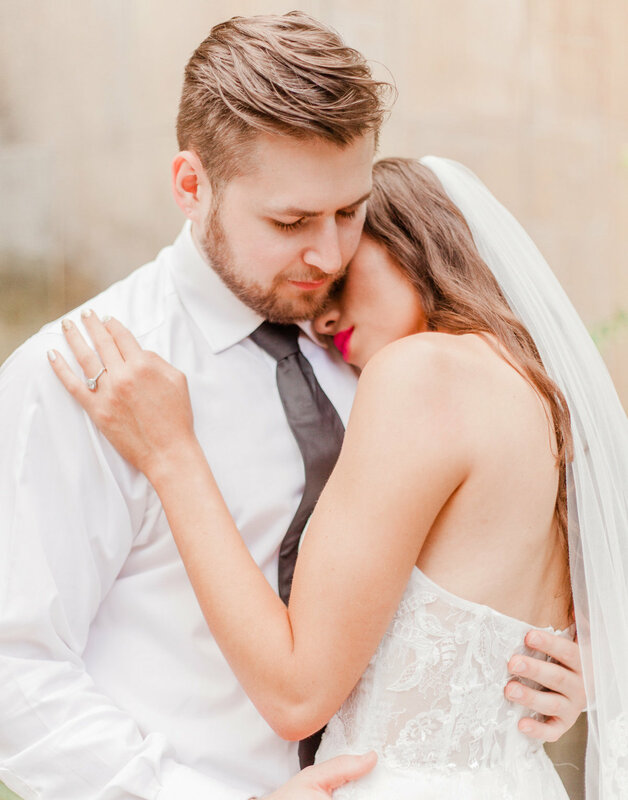 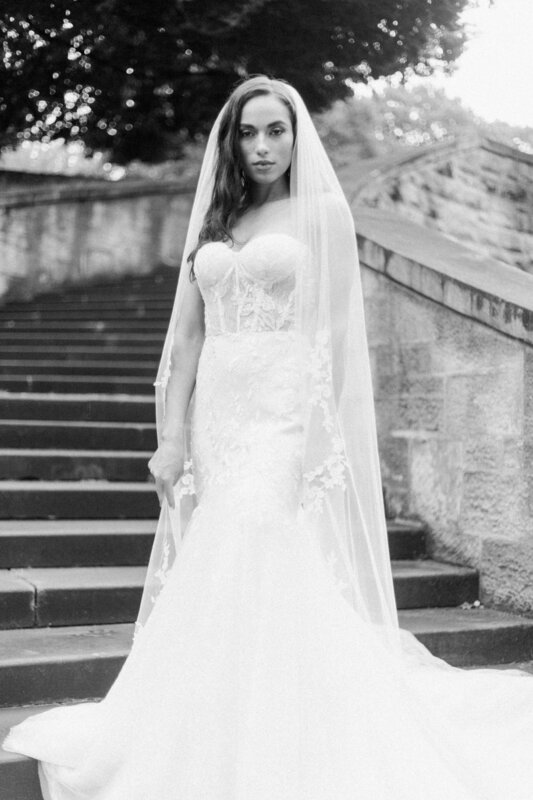 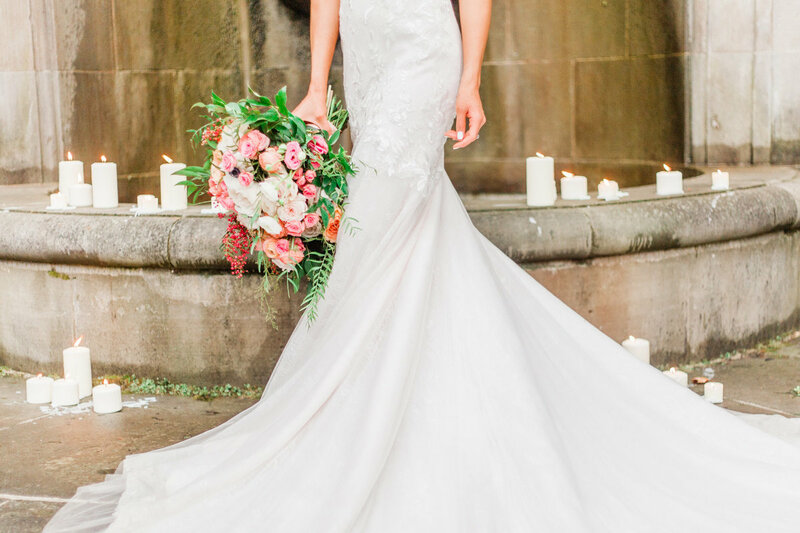 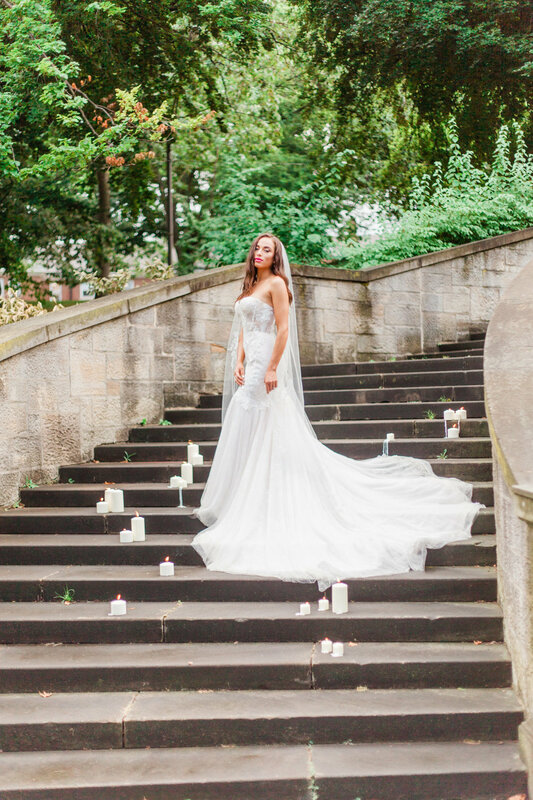 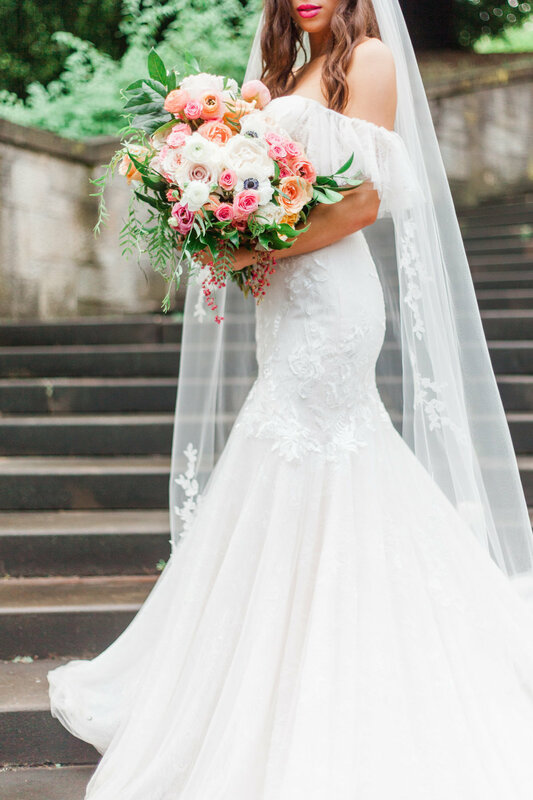 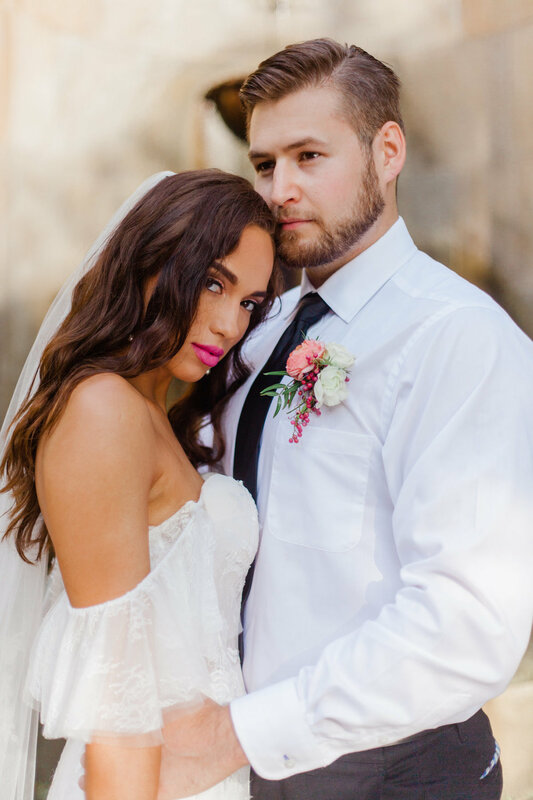 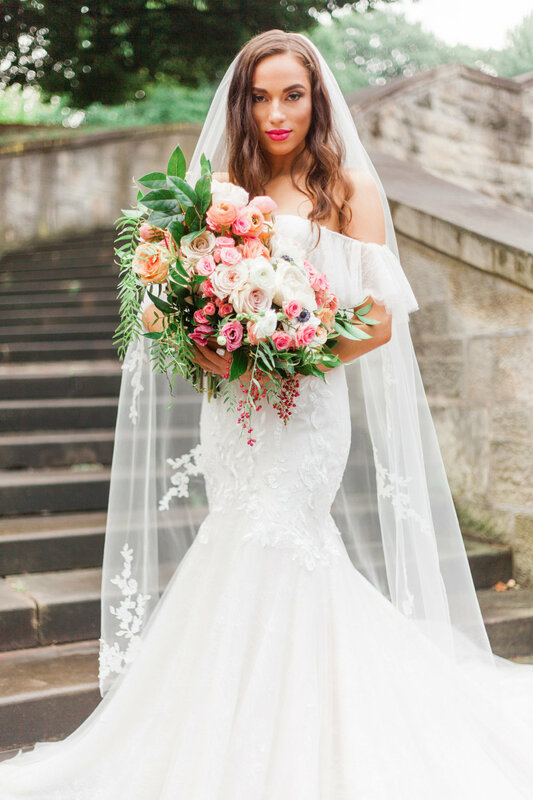 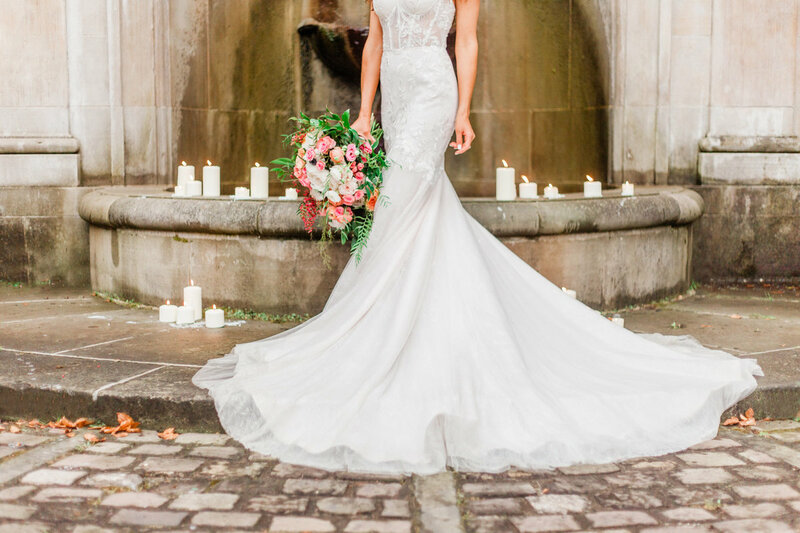 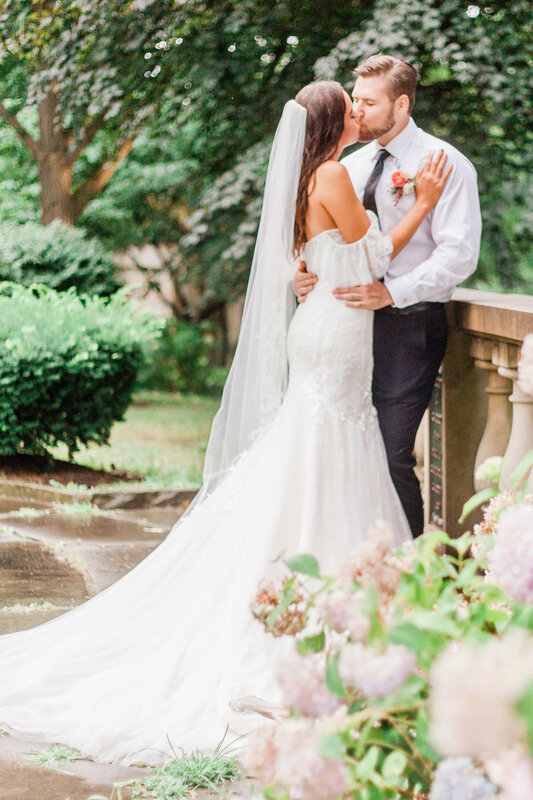 Ruby was the most beautiful bride with her custom sheer bodice, removable off-the-shoulder ruffles, and mermaid style gown. 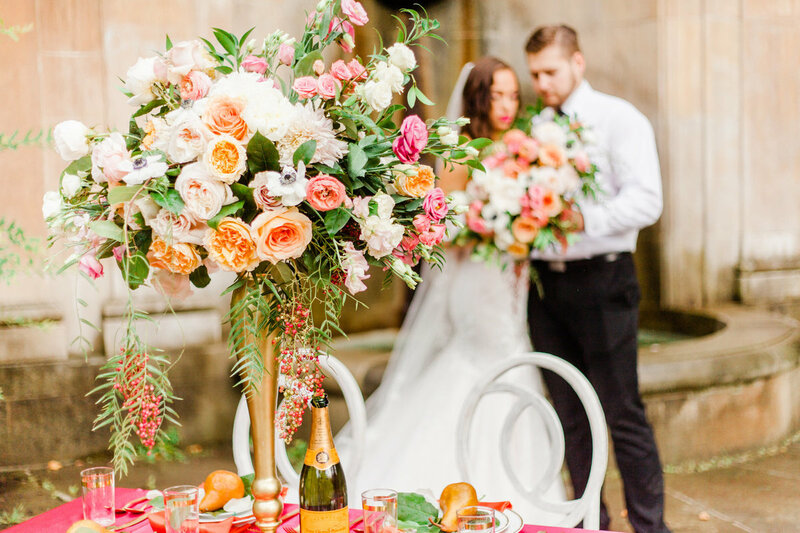 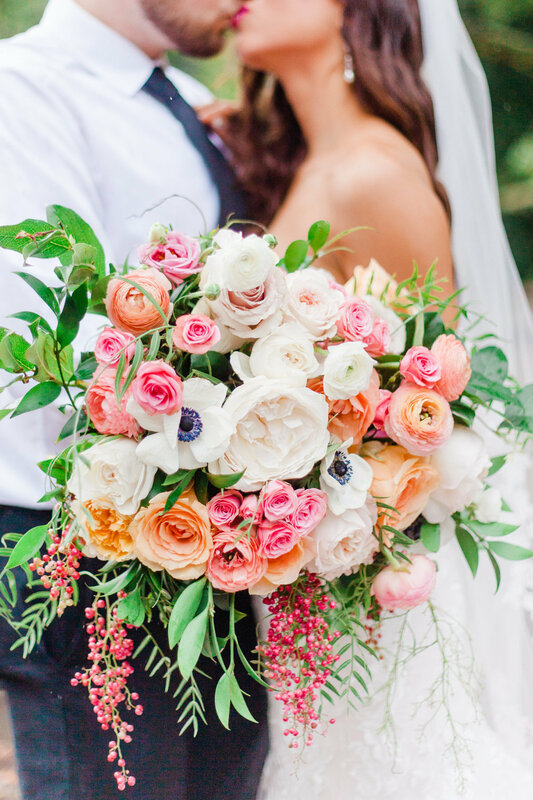 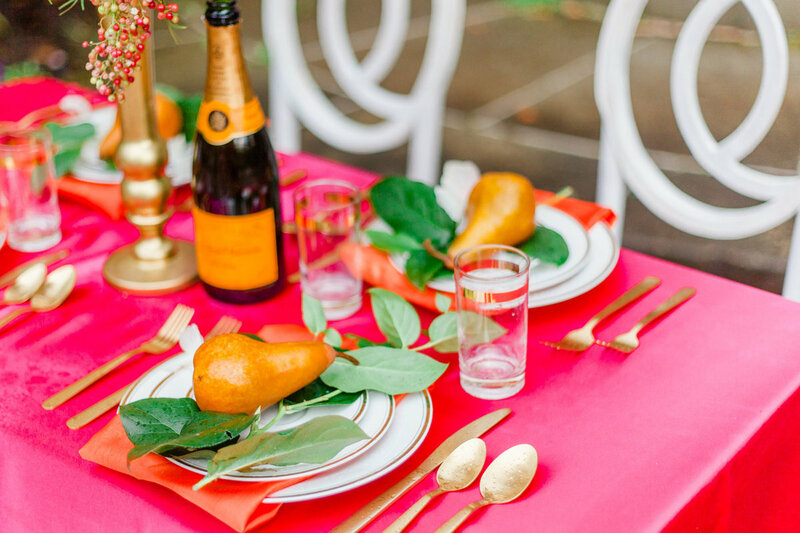 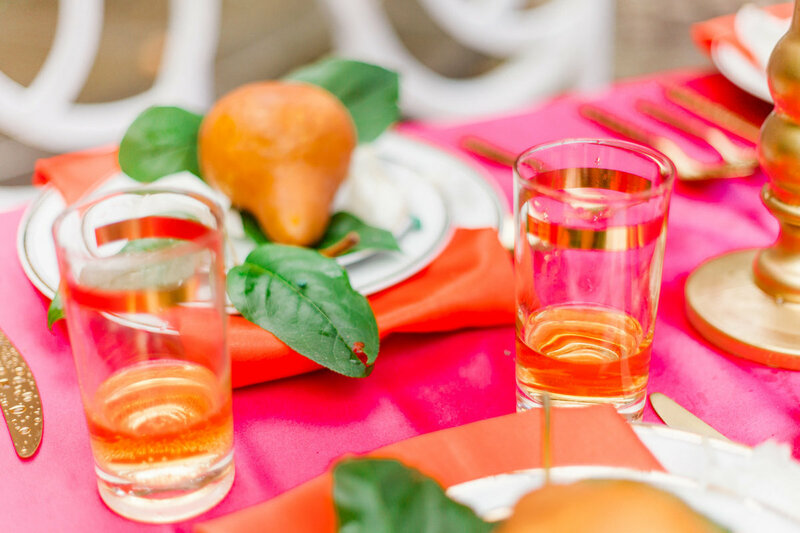 The warm peachy florals and tones with gritty textures and rain droplets paired well with this year's pantone color of the year coral. 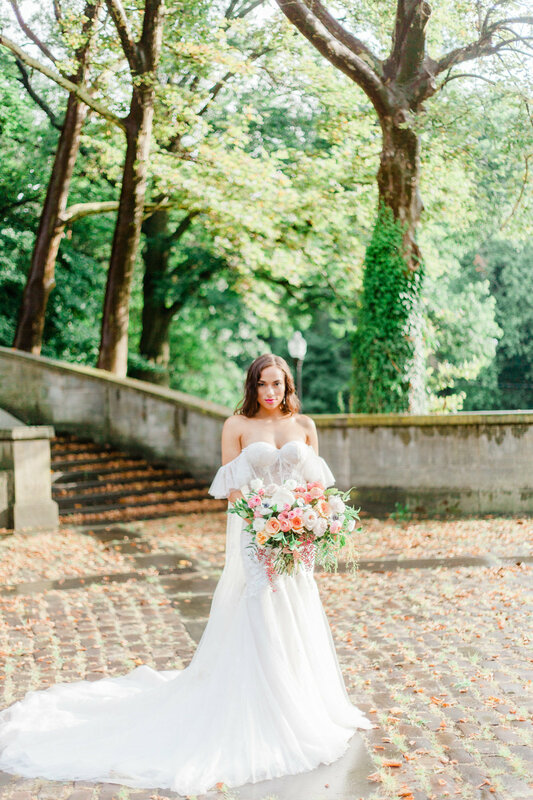 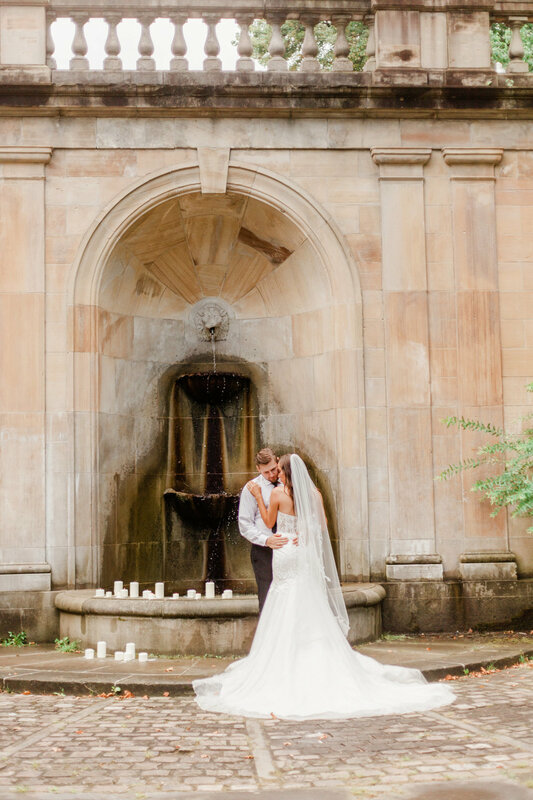 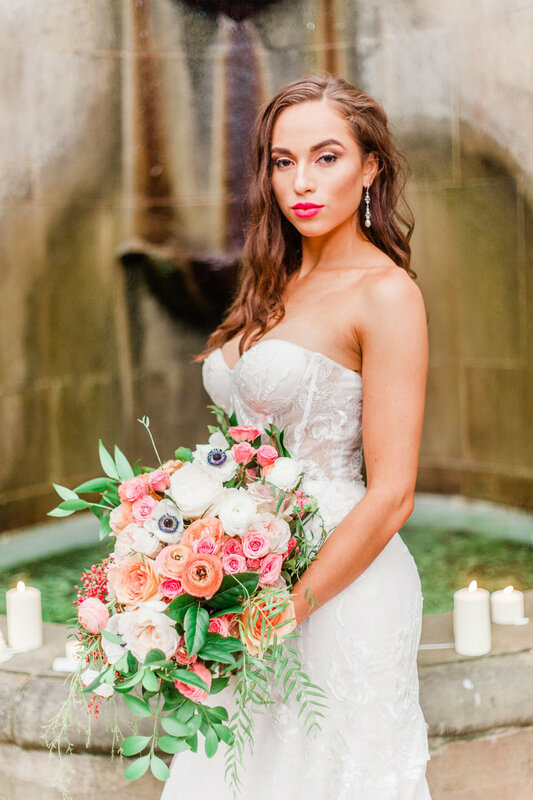 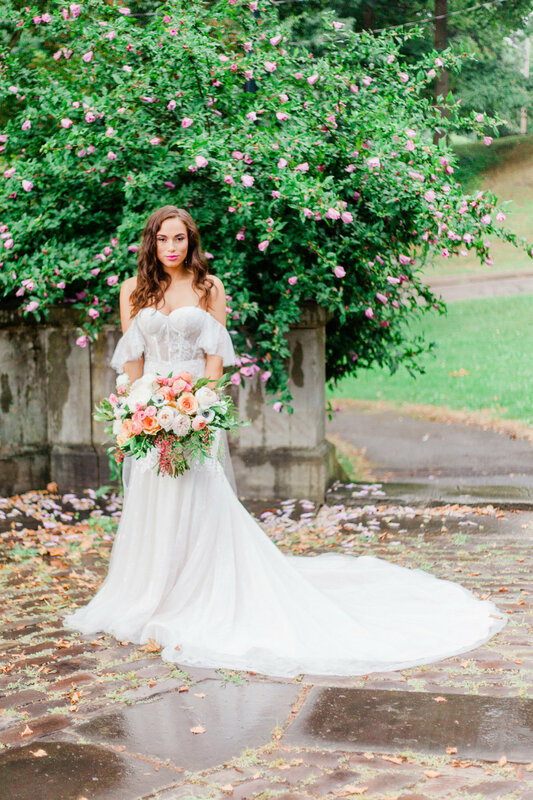 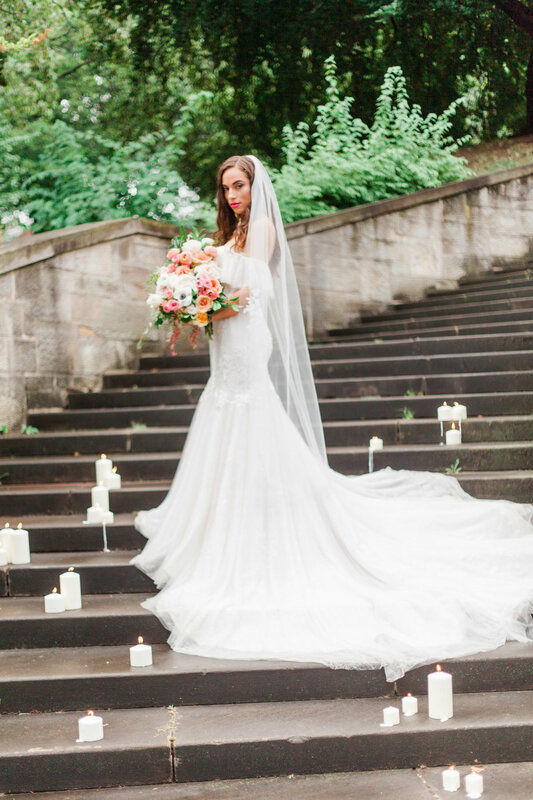 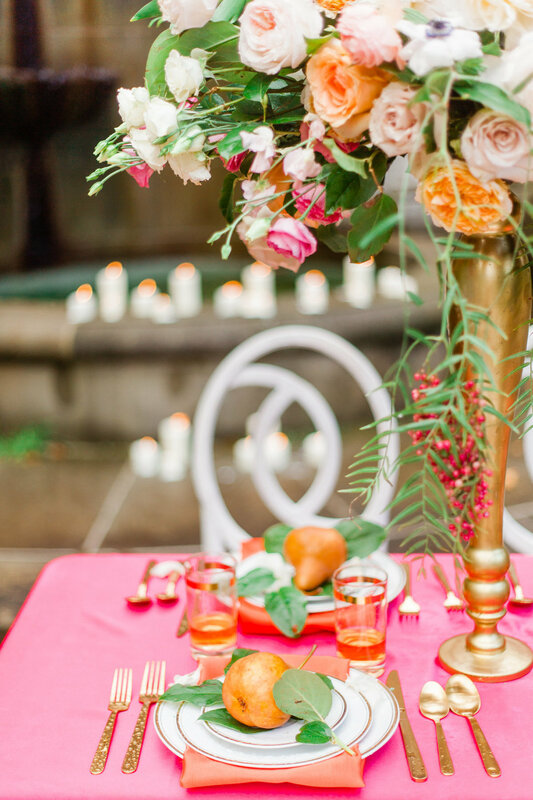 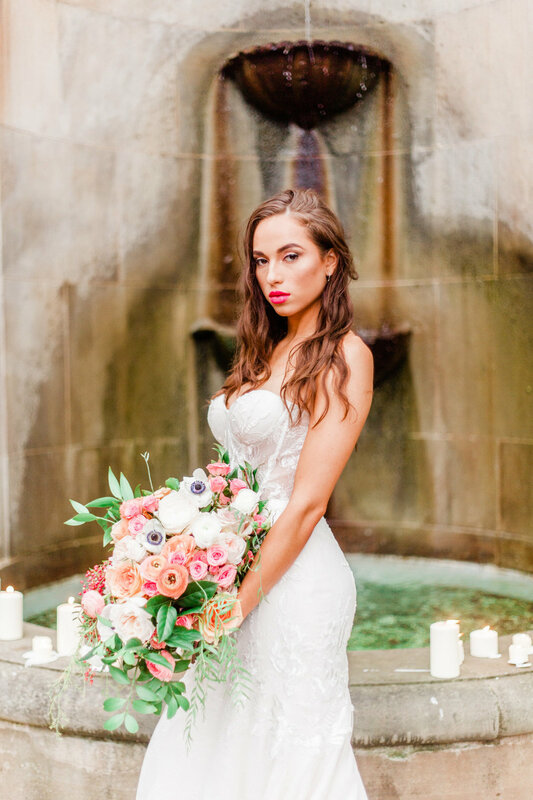 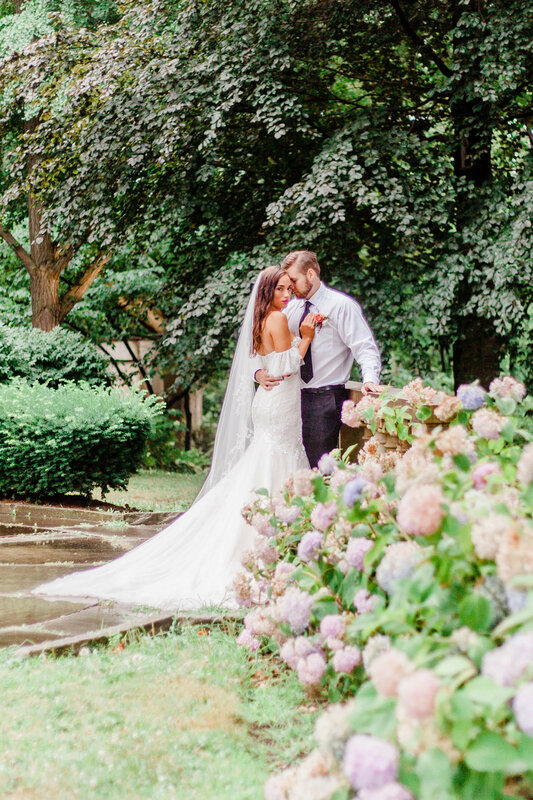 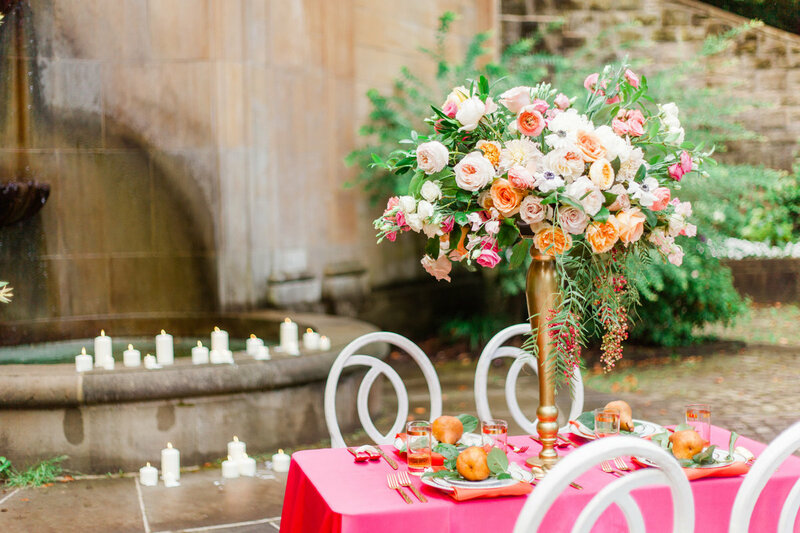 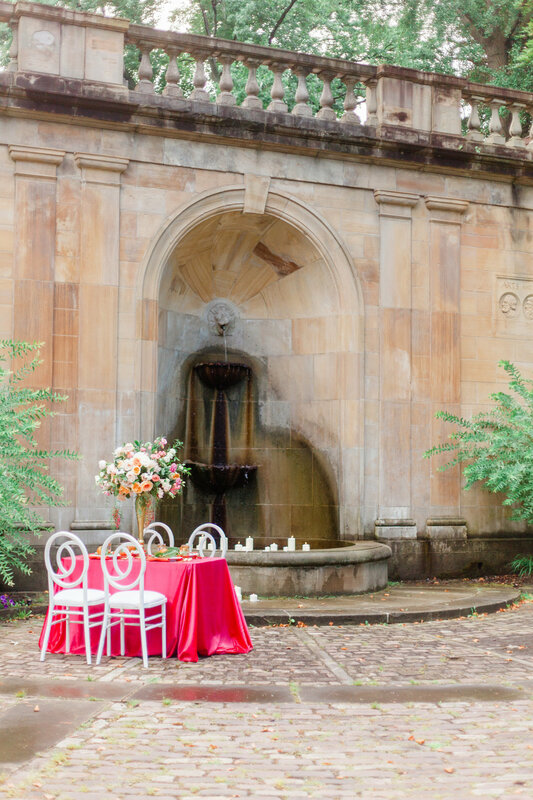 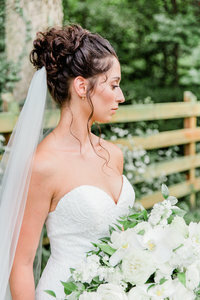 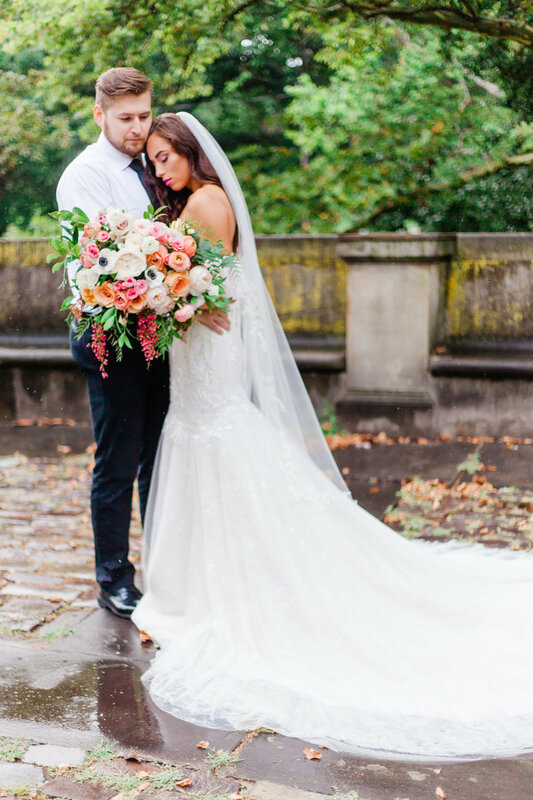 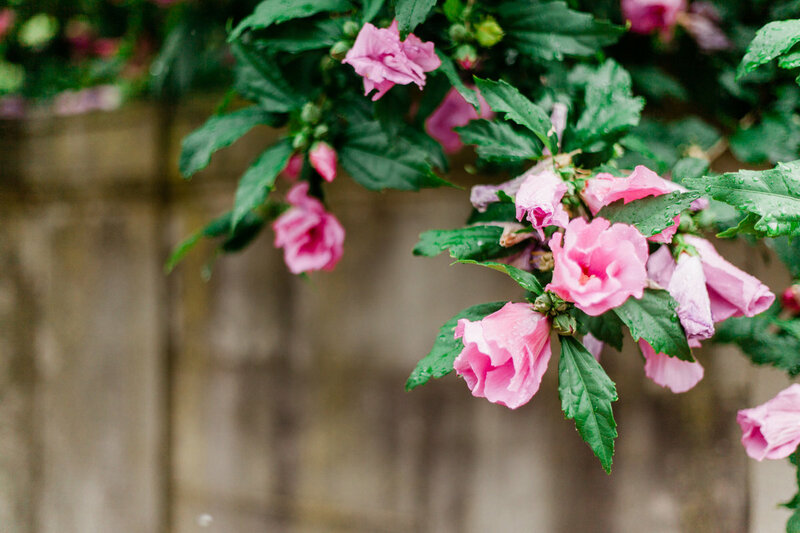 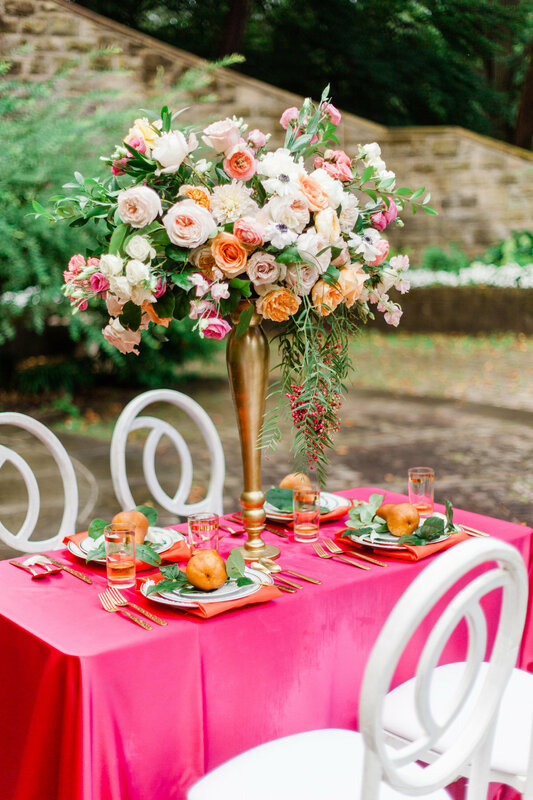 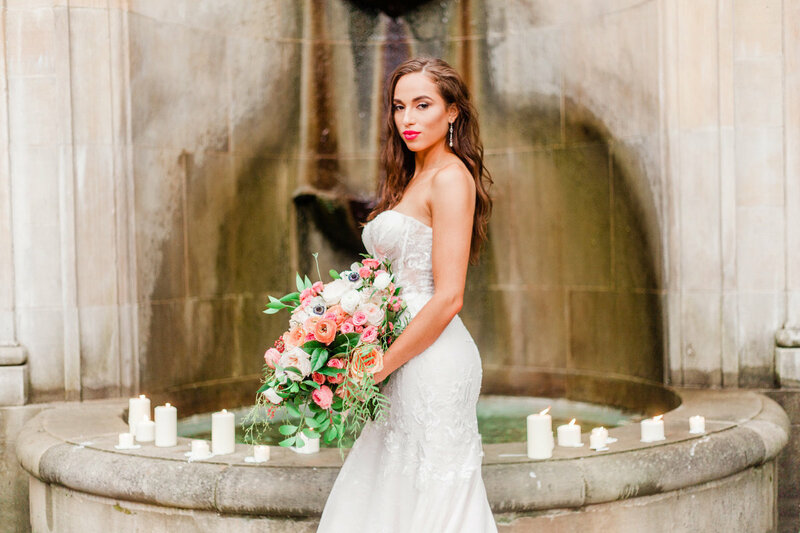 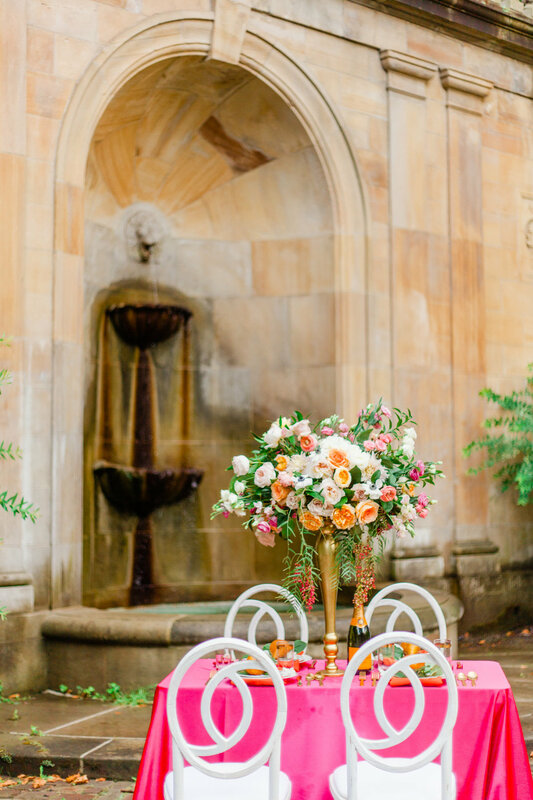 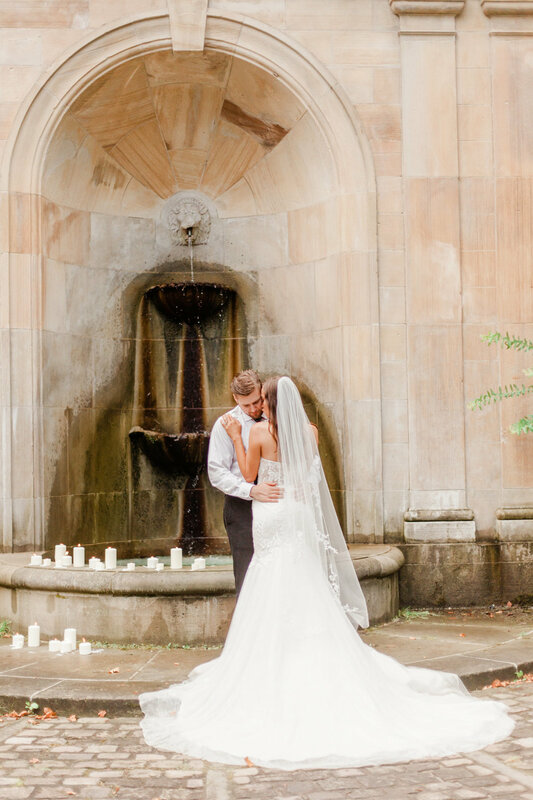 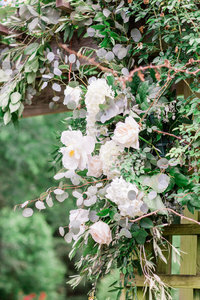 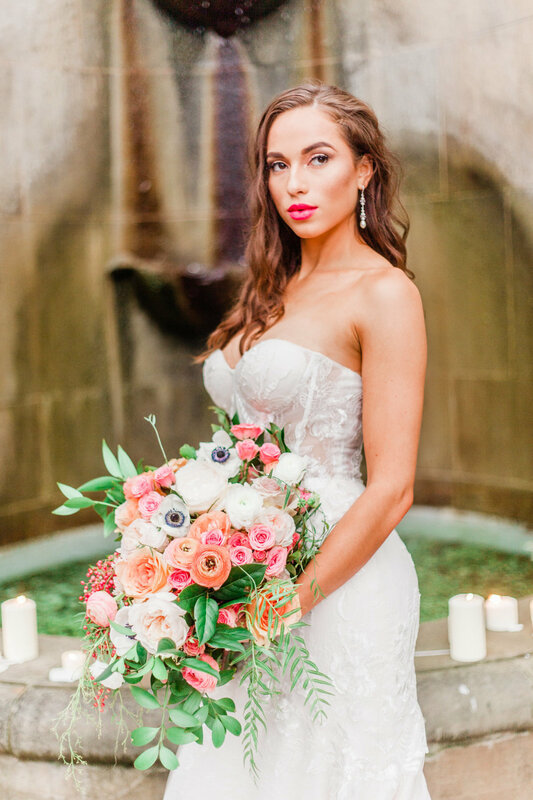 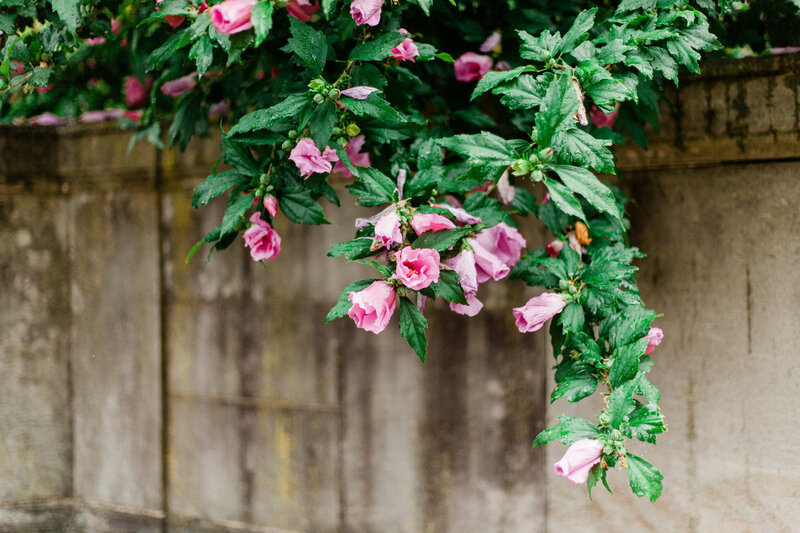 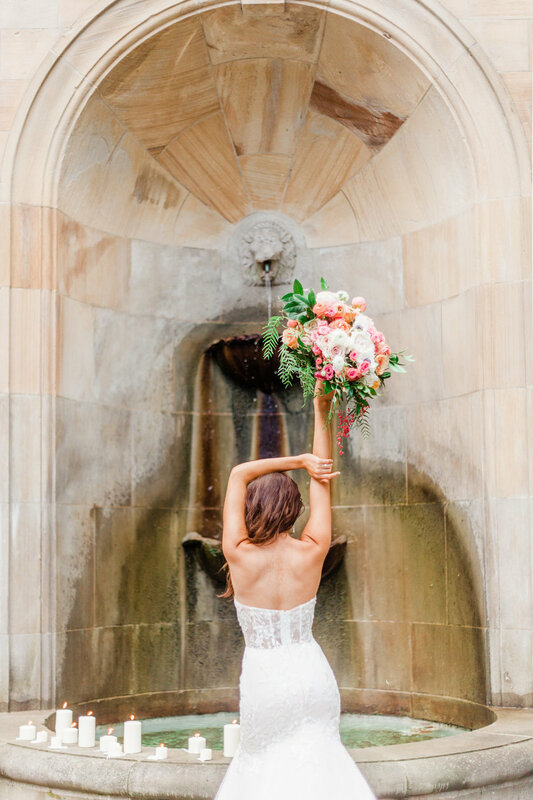 The Italian Garden in Cleveland was the perfect backdrop for this European inspired styled shoot.